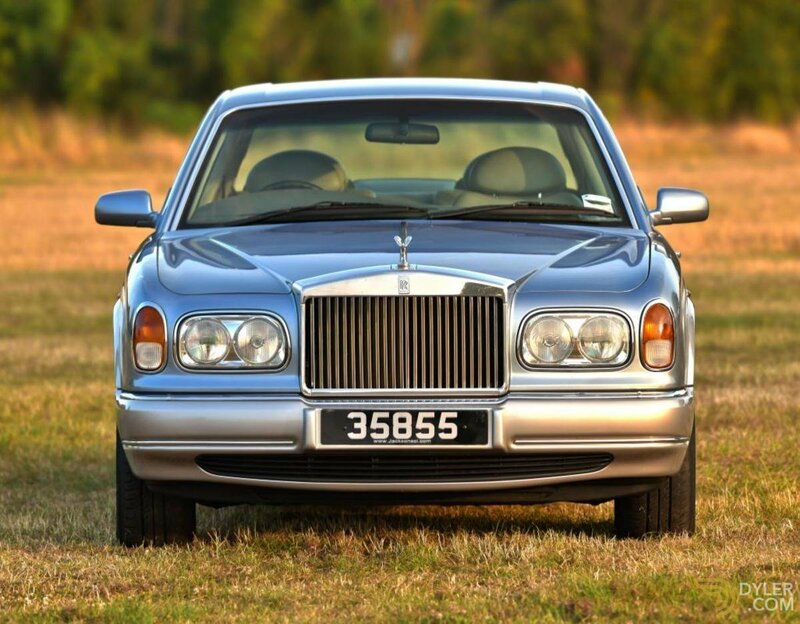 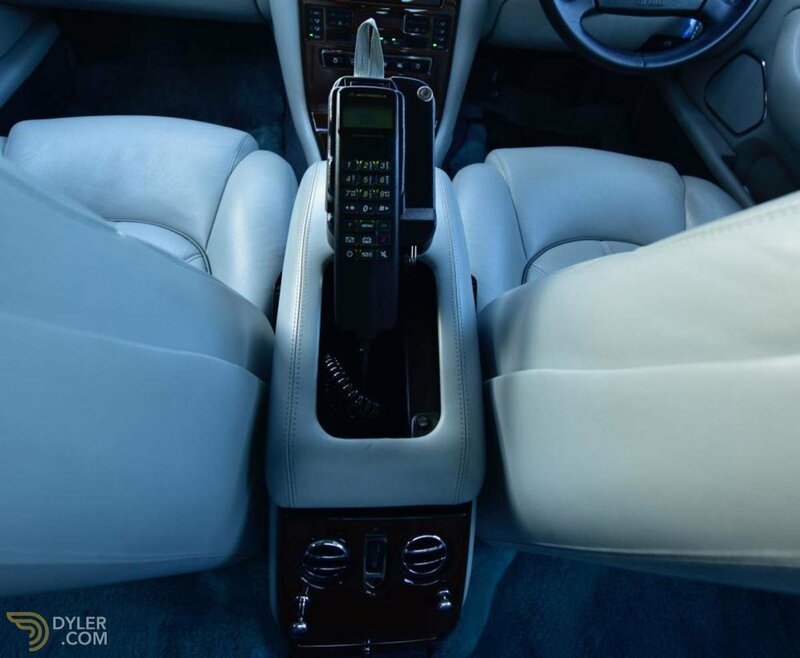 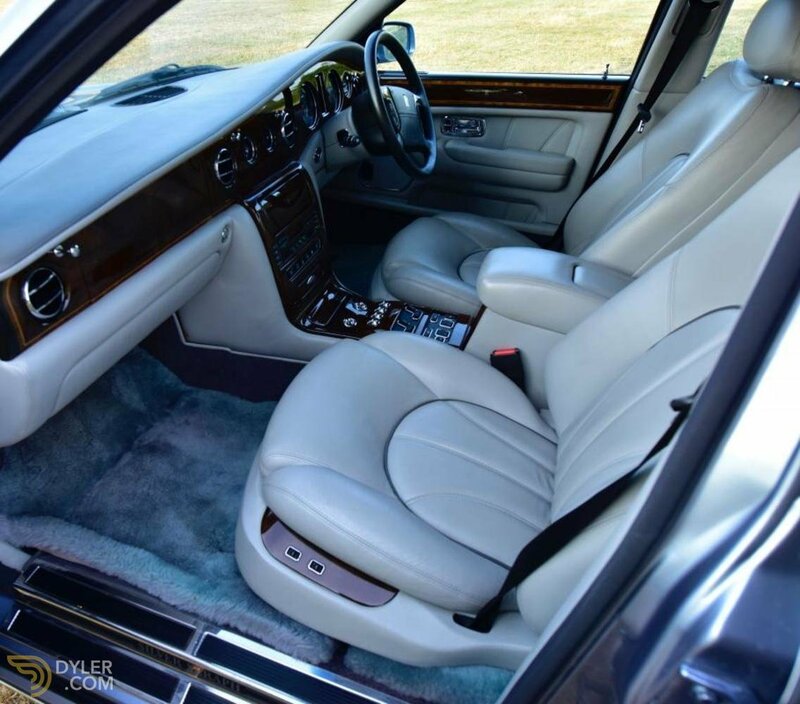 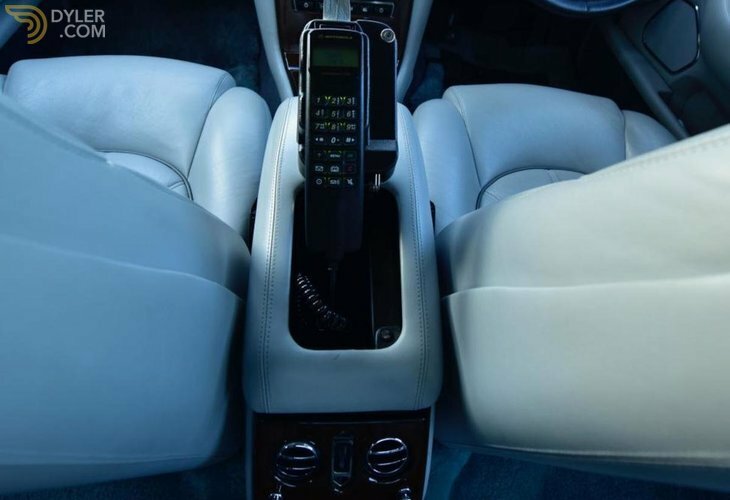 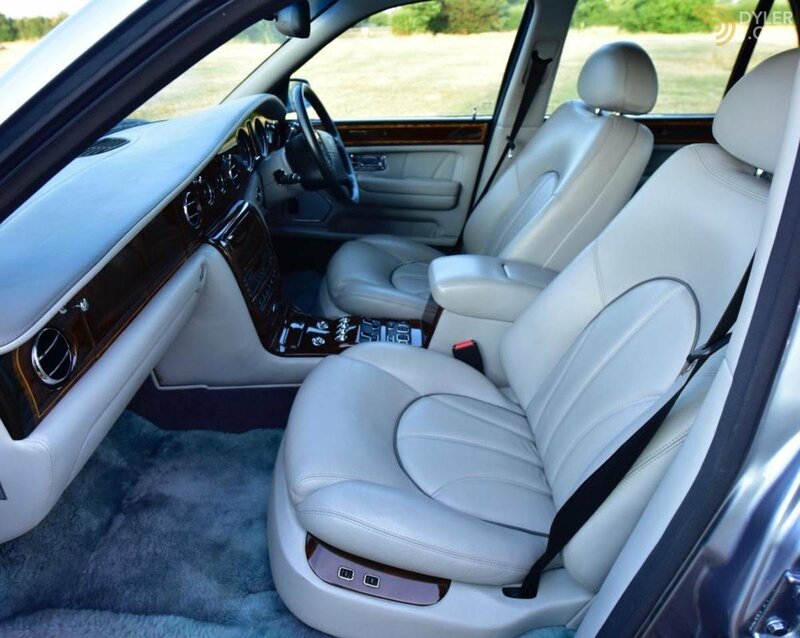 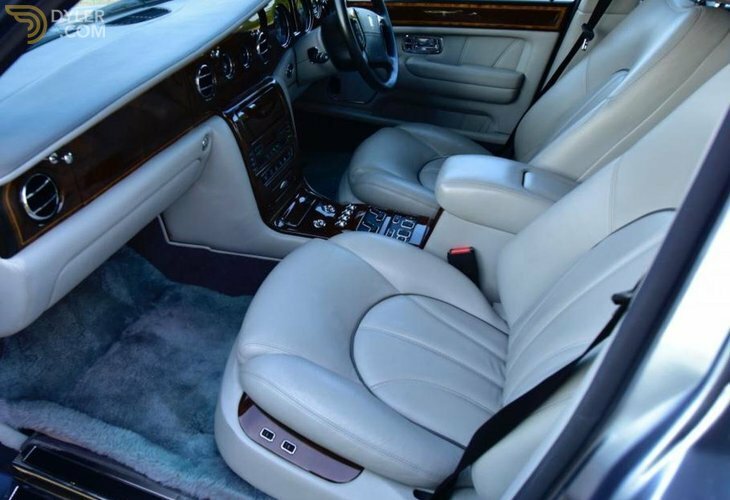 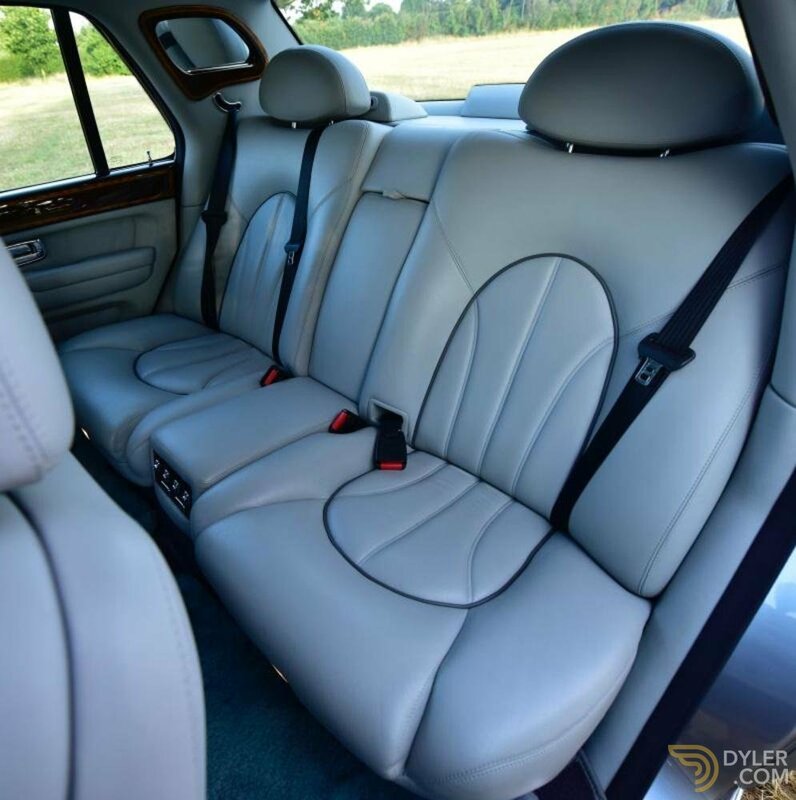 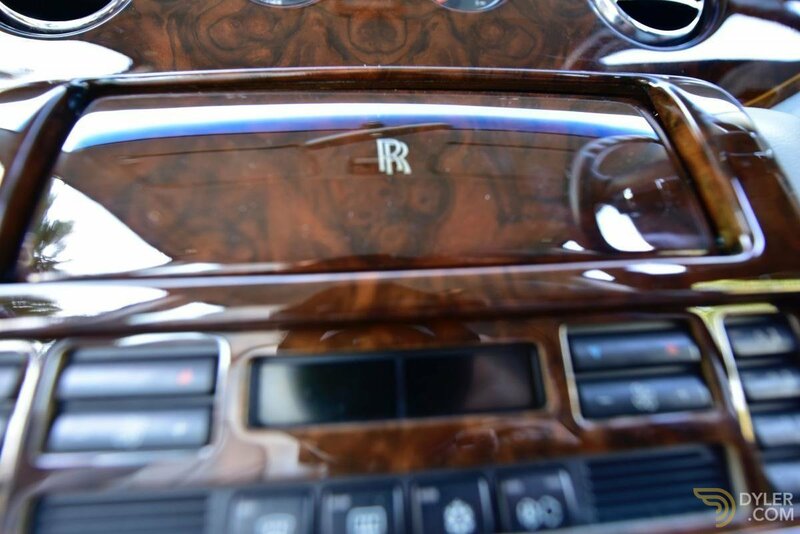 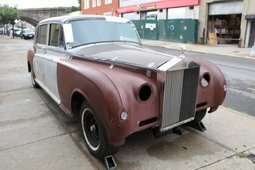 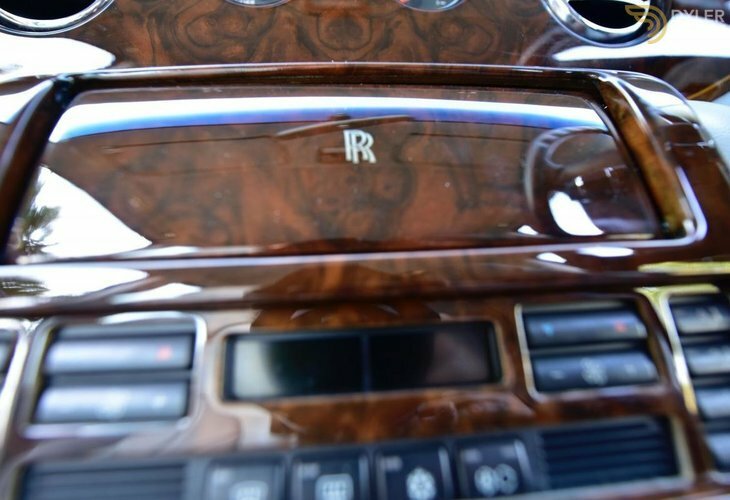 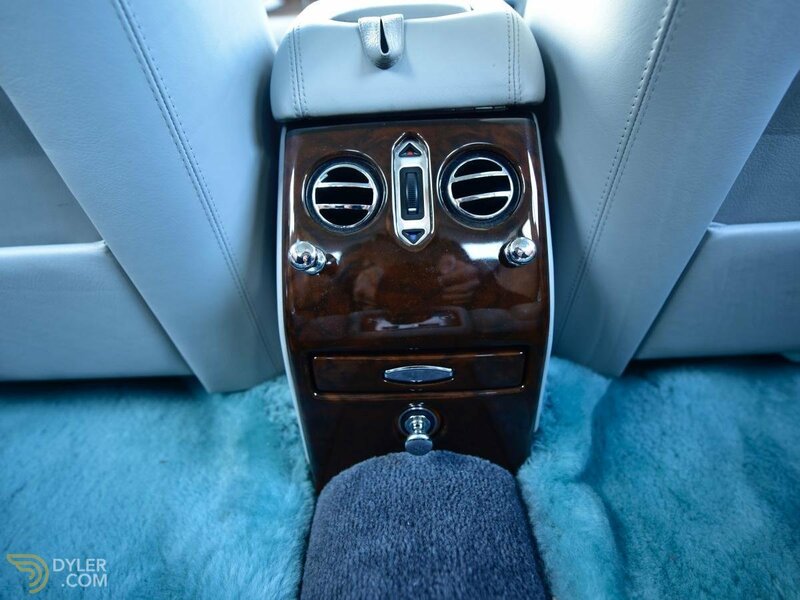 Vintage and Prestige are proud to offer this 1998 Rolls Royce Silver Seraph For Sale. 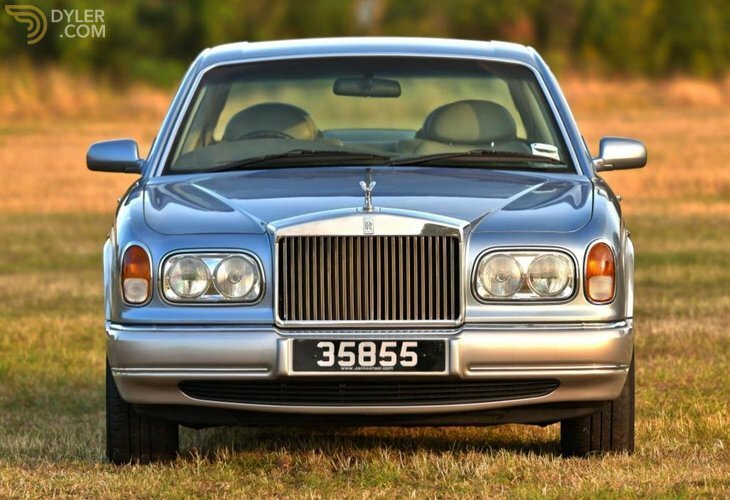 The Rolls-Royce Silver Seraph was first unveiled on 3rd March, 1998 at the Geneva Motor Show. 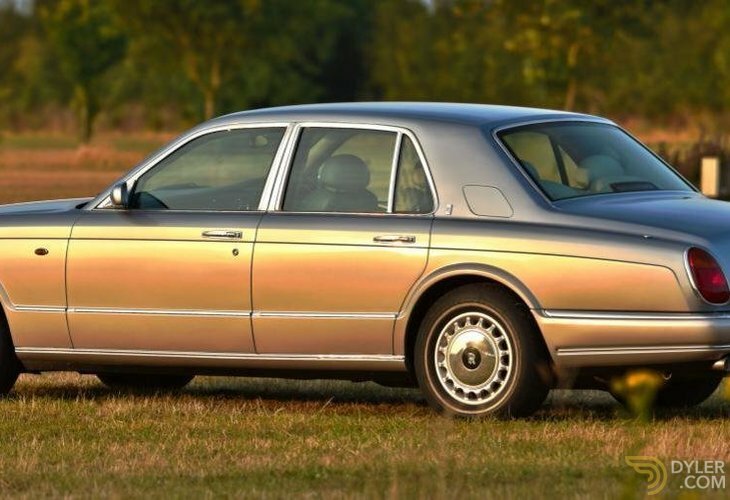 It replaced the Silver Spur which ended production in 1997. 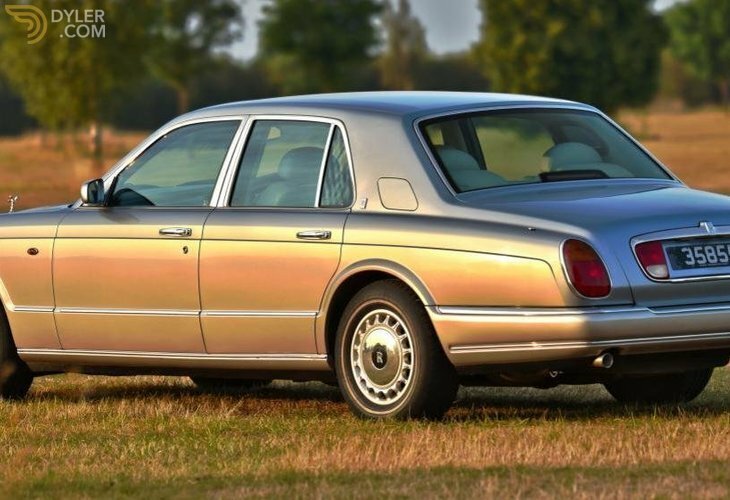 All Seraphs were hand-built at the Rolls-Royce factory in Crewe, England, which stopped making Rolls-Royce models in 2002 but continued with Bentley. 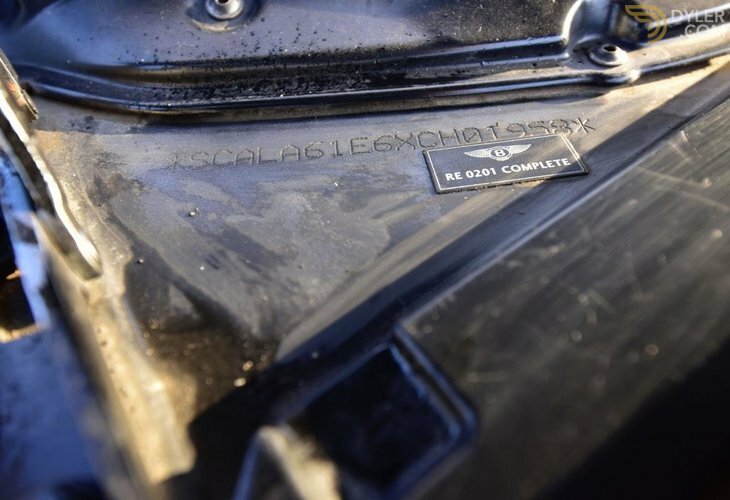 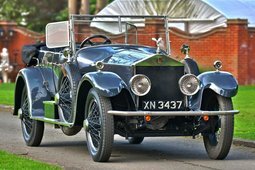 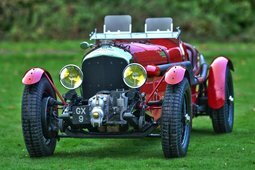 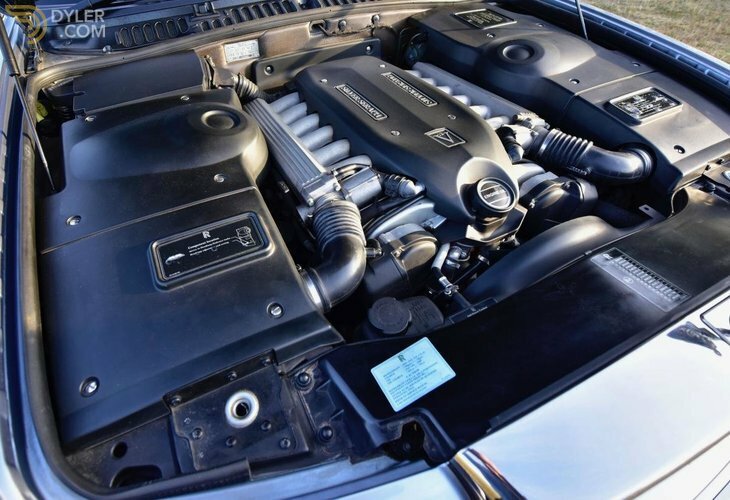 The car had a base price of £155,175 in the UK and was powered by a 5.4 litre aluminium alloy BMW V12 engine, making it the first twelve-cylinder Rolls-Royce since the 1939 Phantom III. 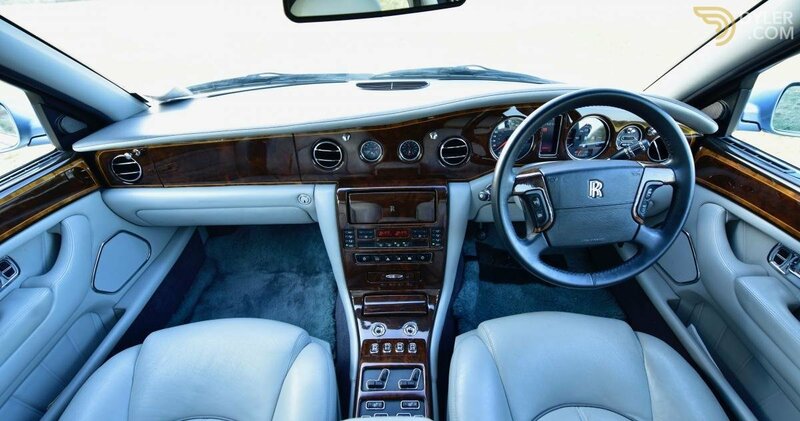 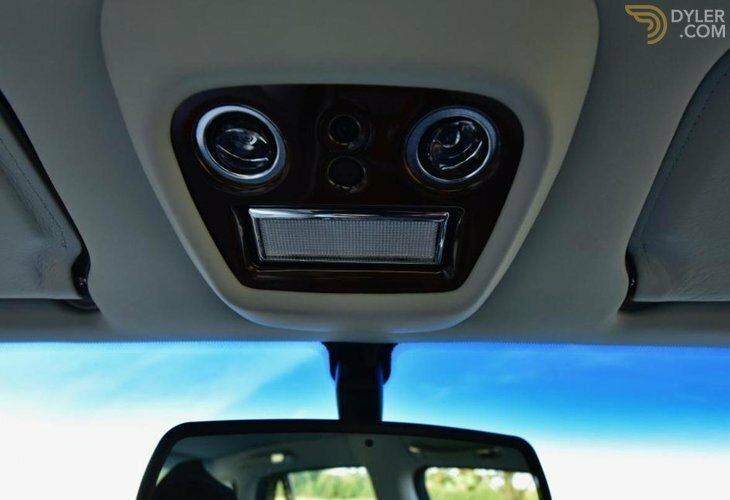 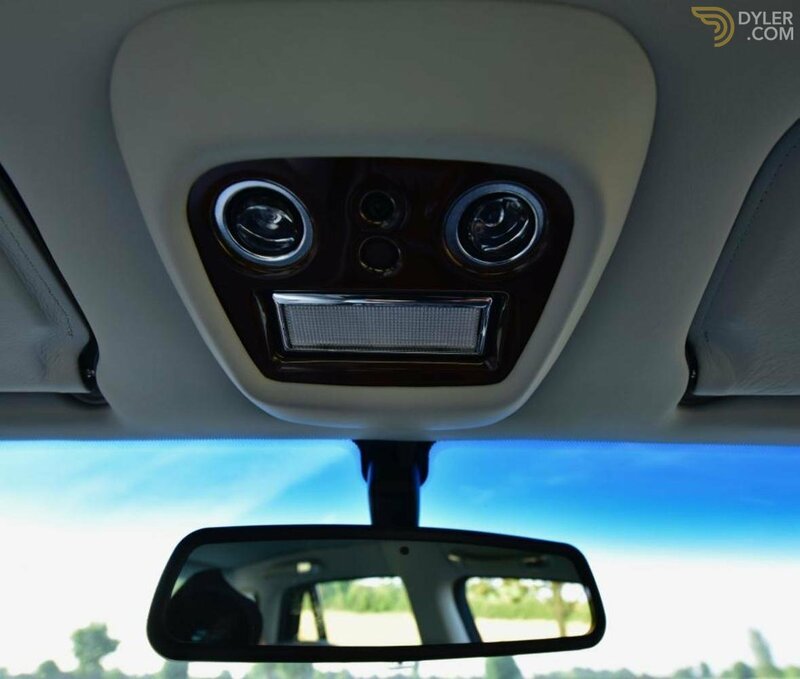 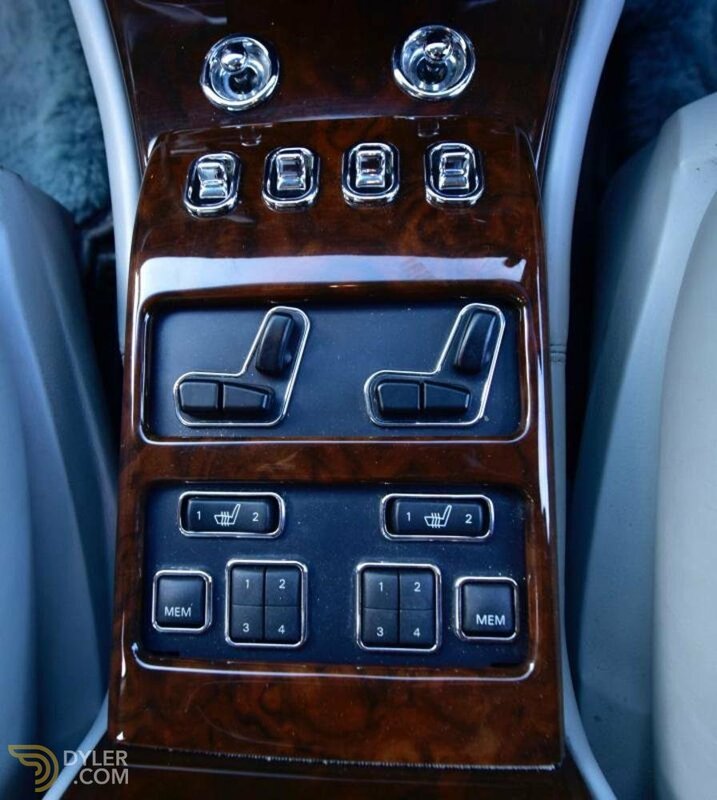 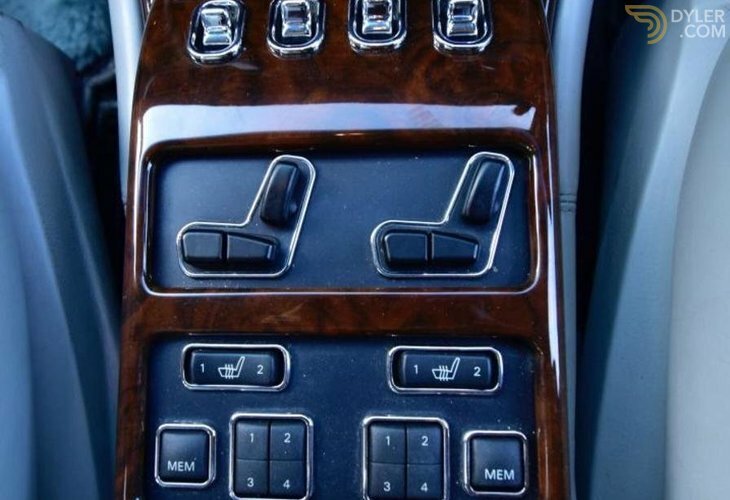 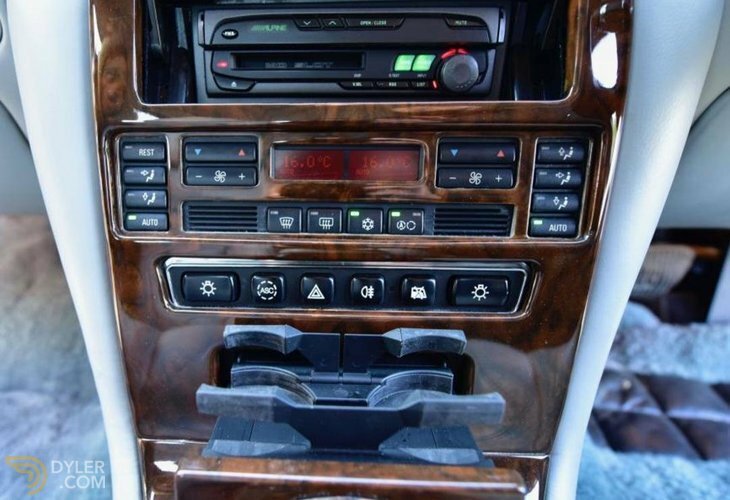 Standard electronics included digital engine management, adaptive ride control and anti-lock brakes. 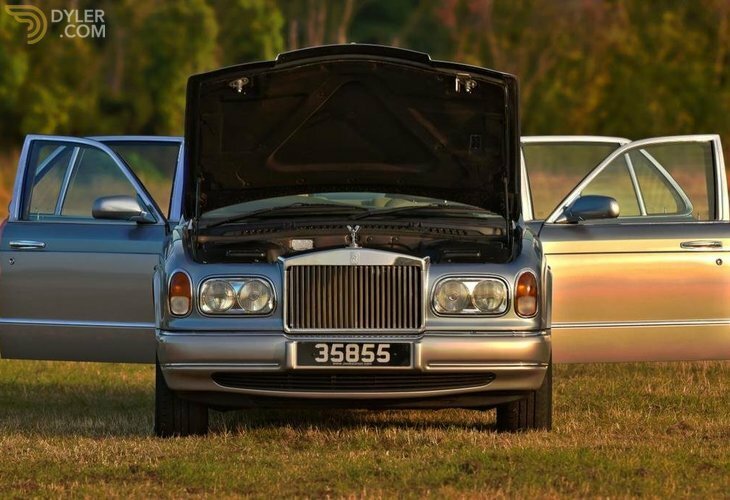 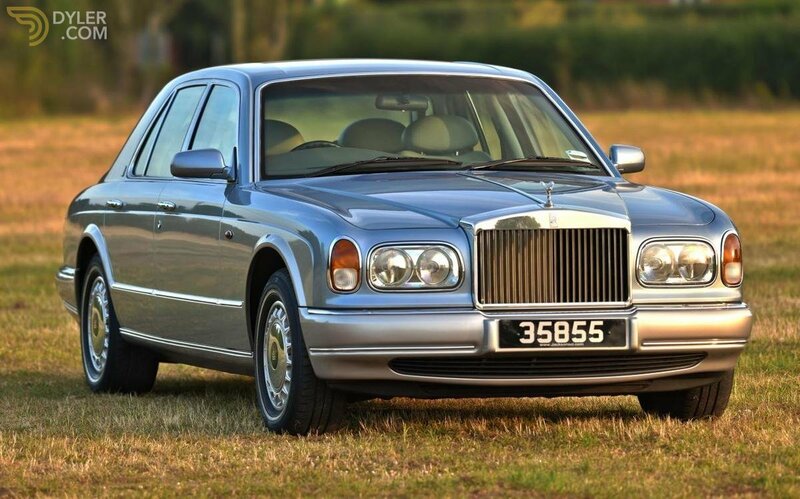 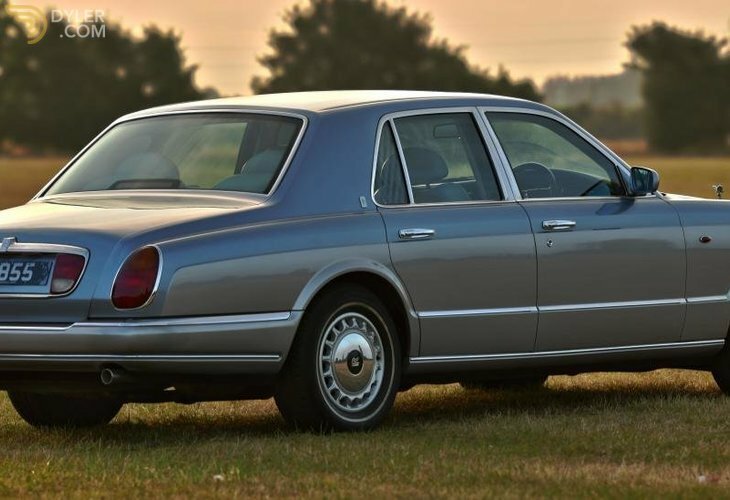 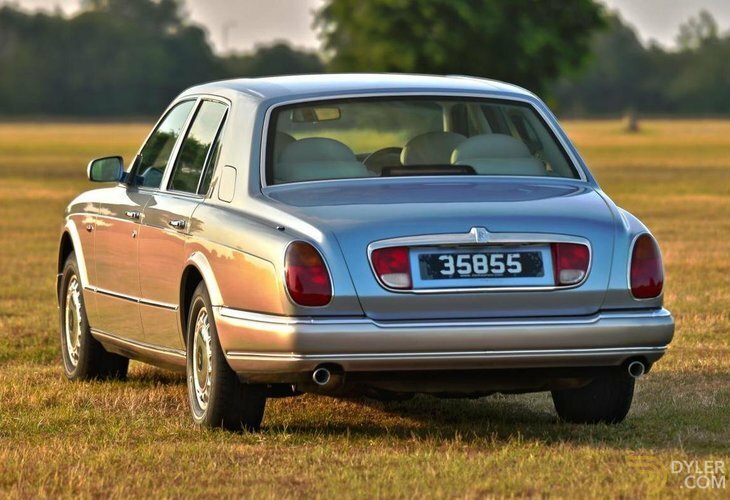 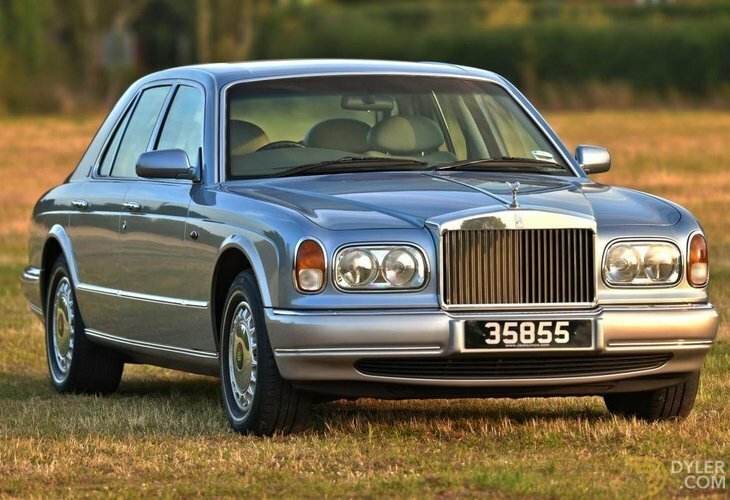 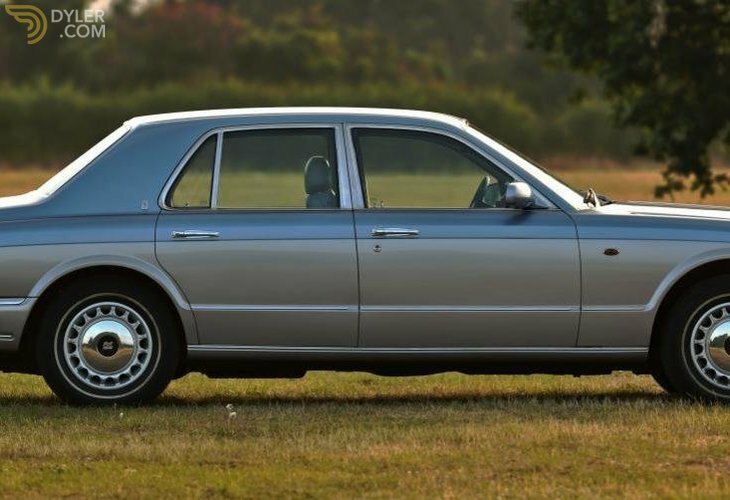 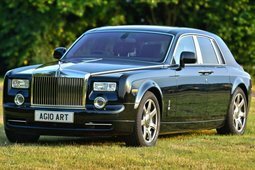 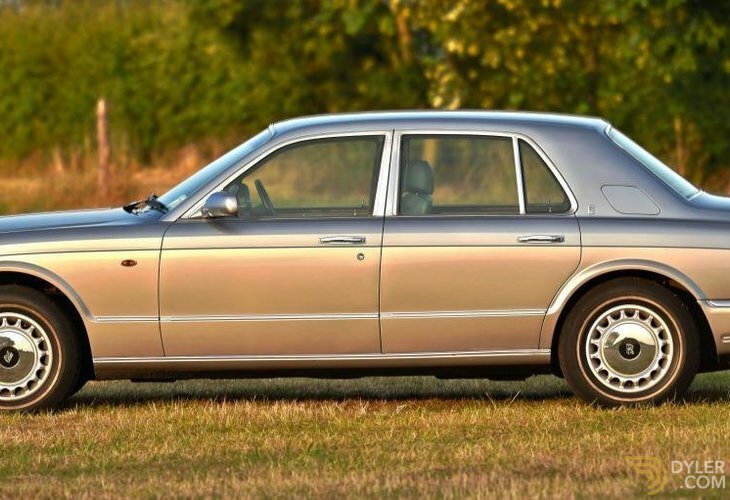 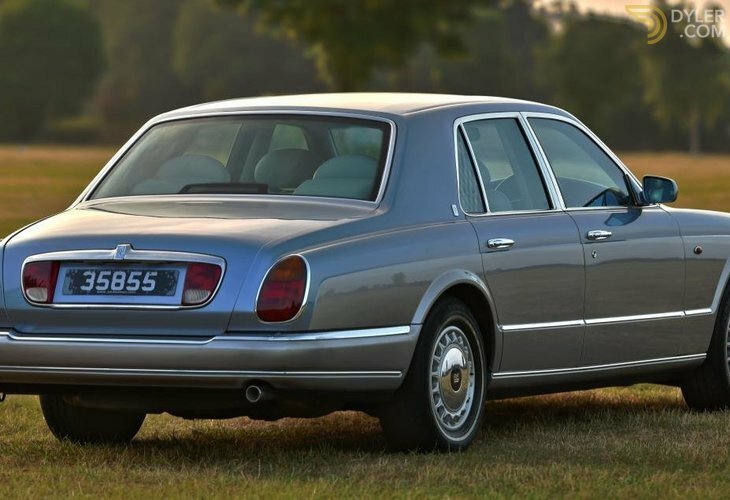 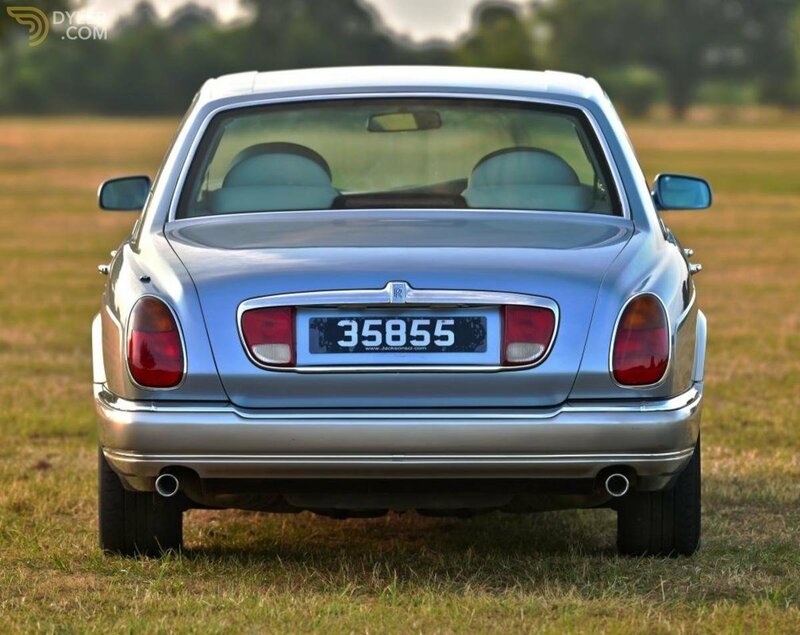 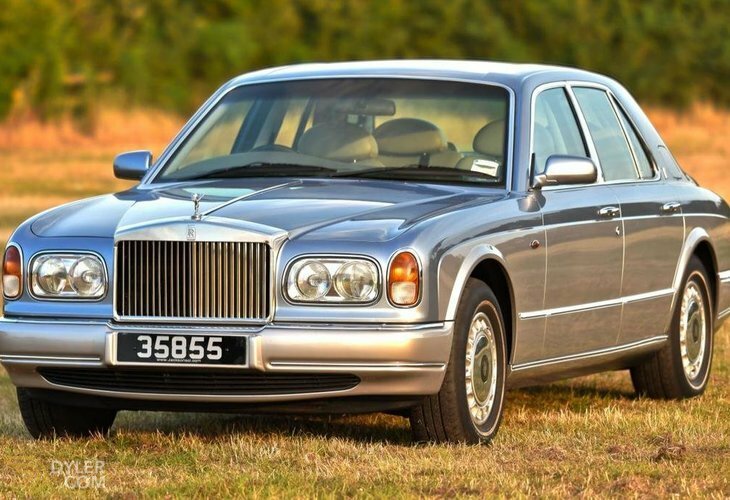 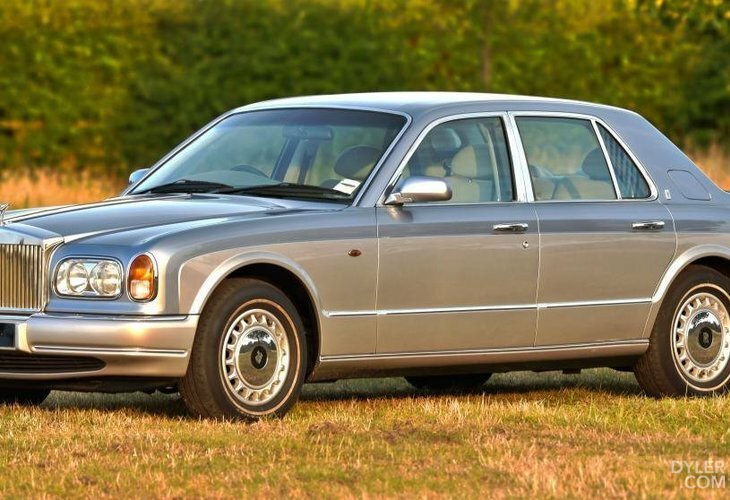 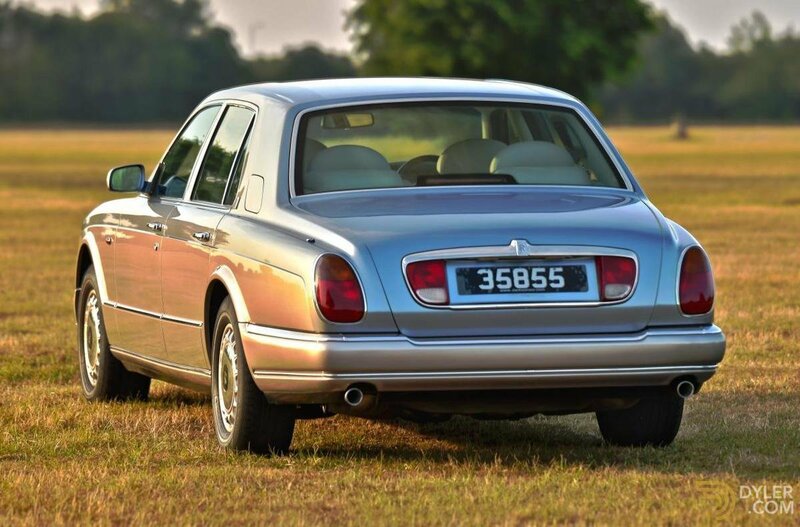 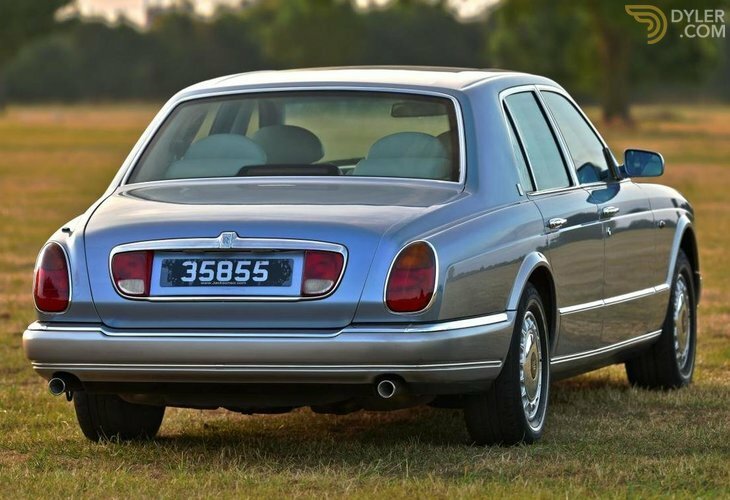 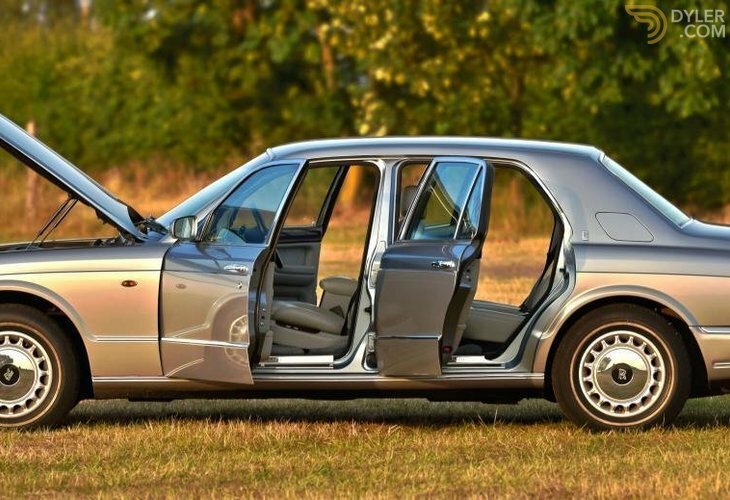 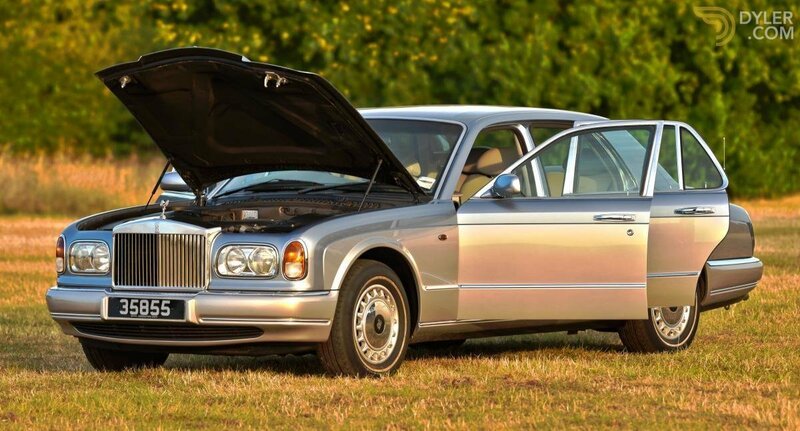 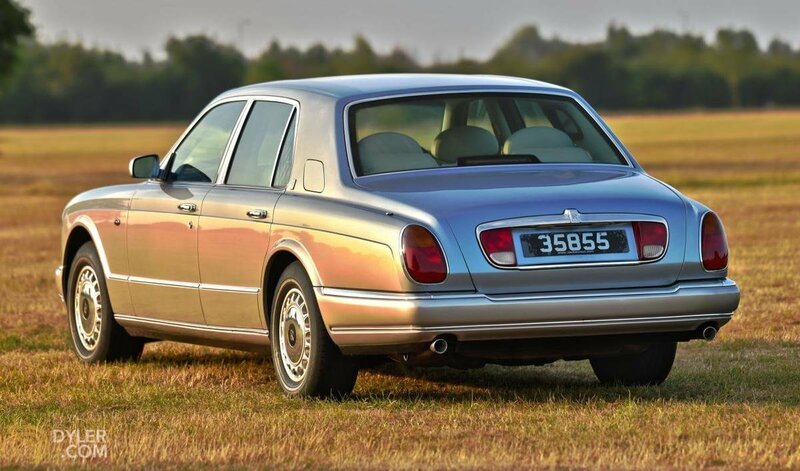 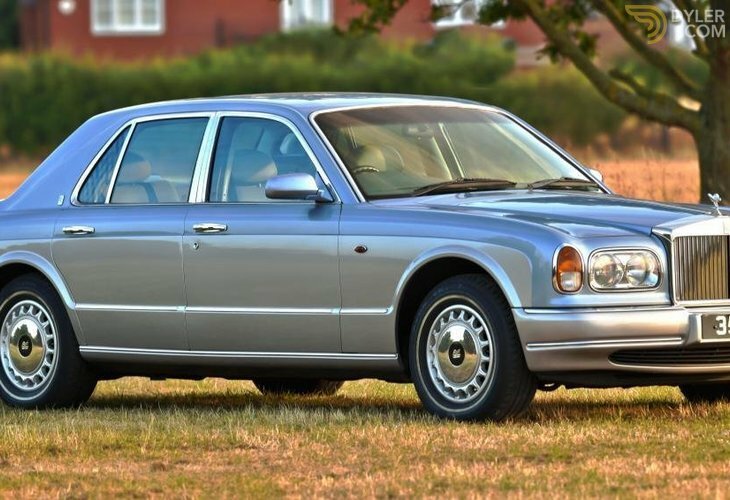 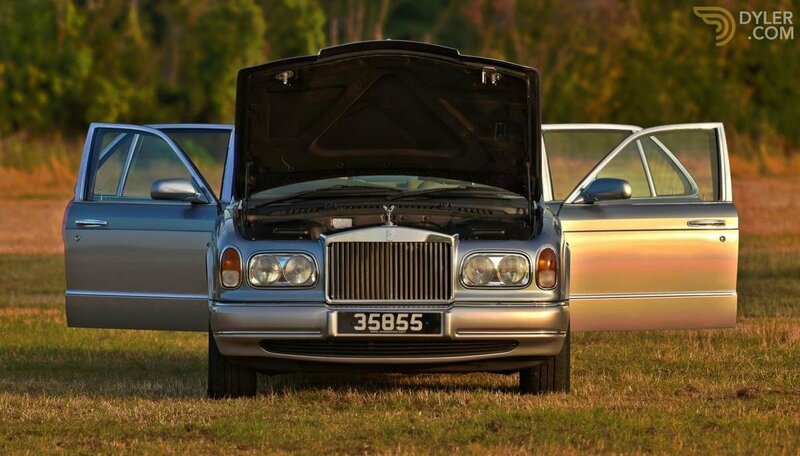 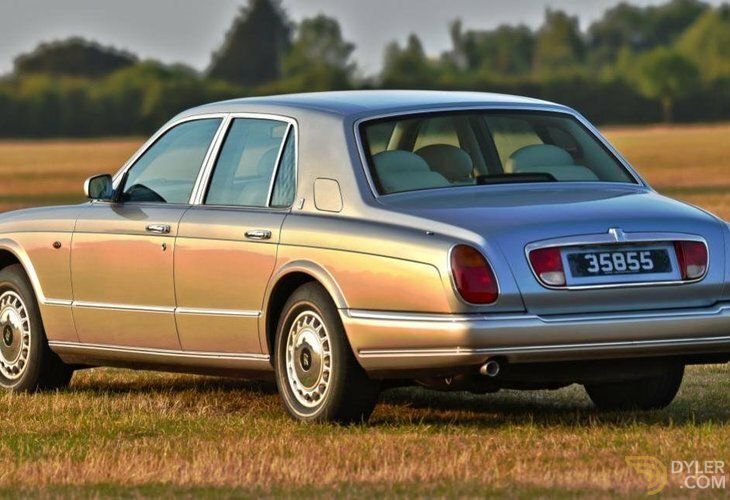 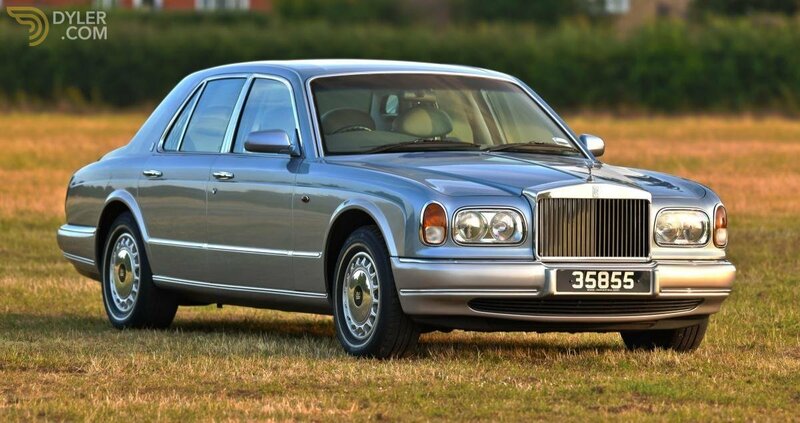 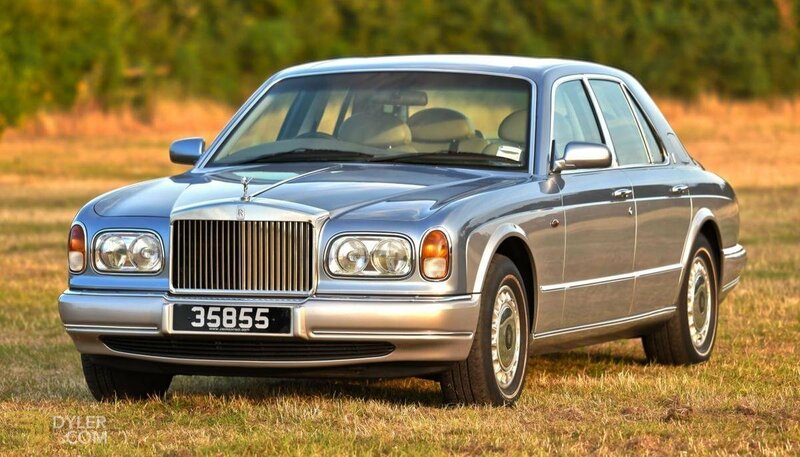 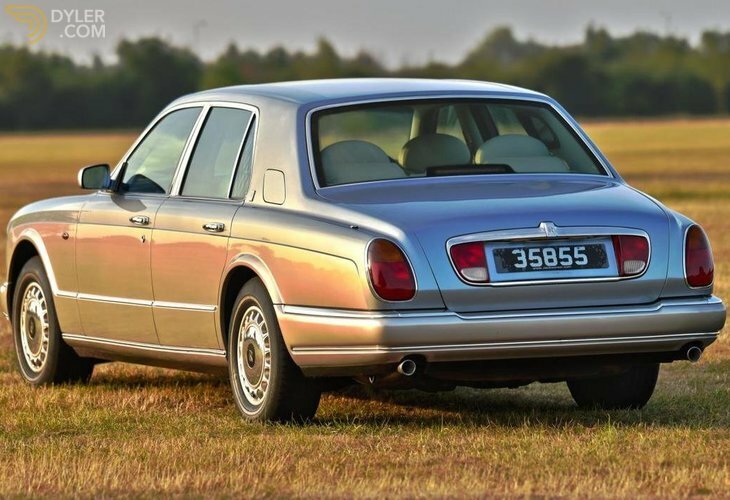 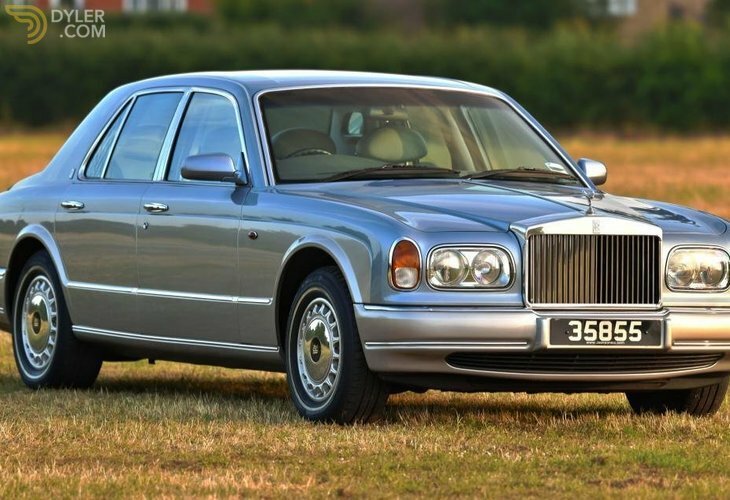 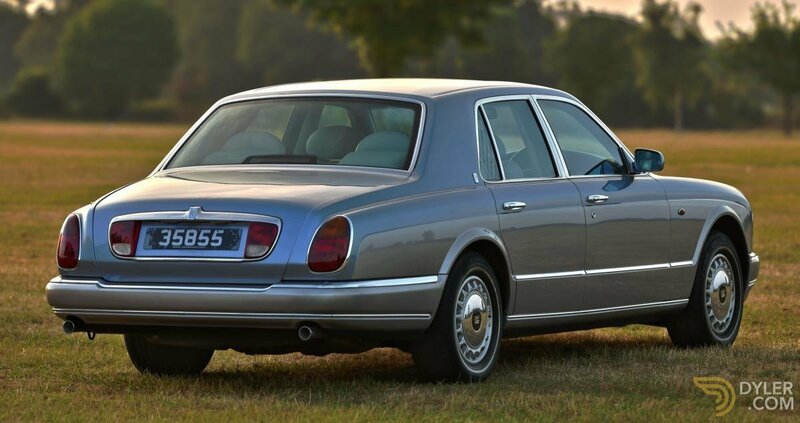 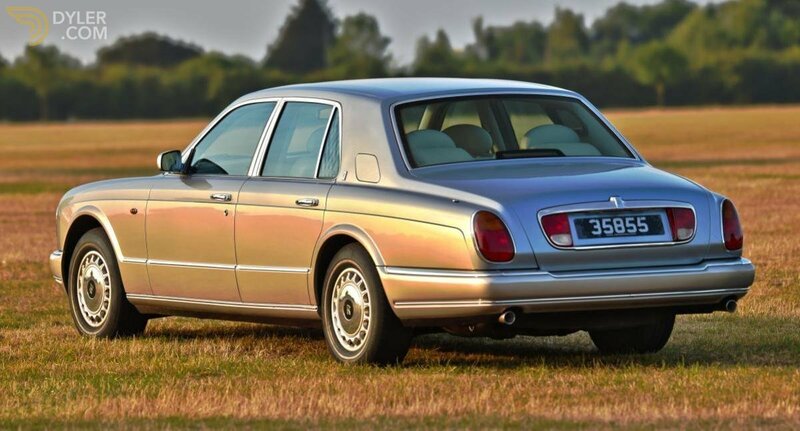 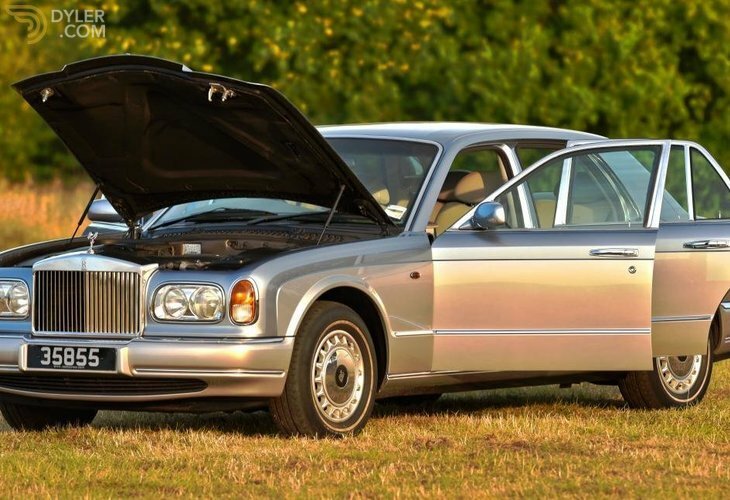 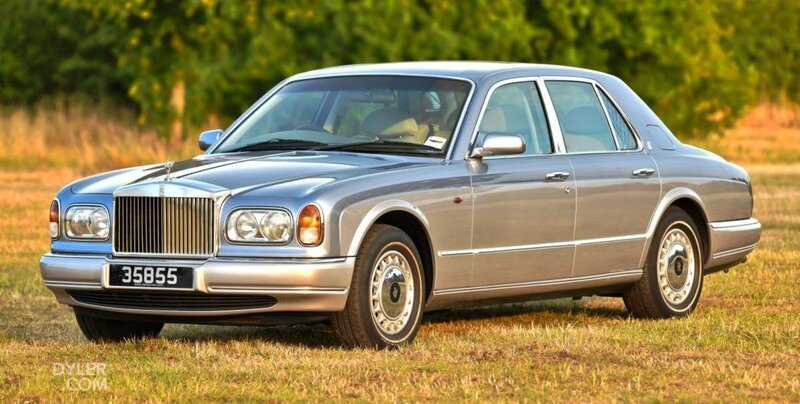 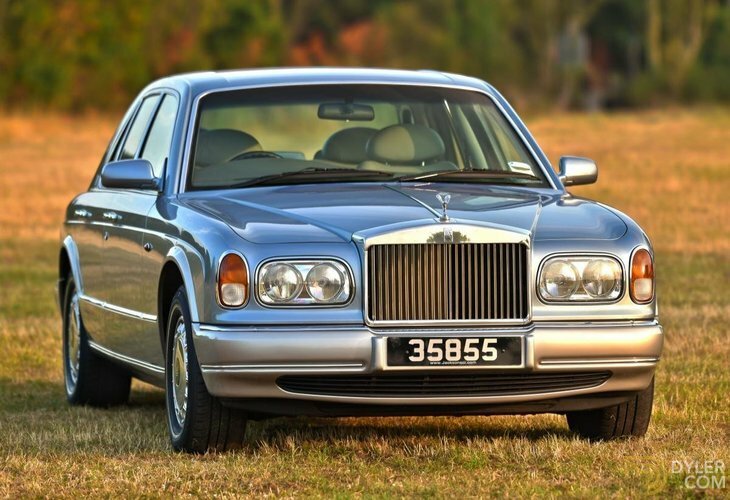 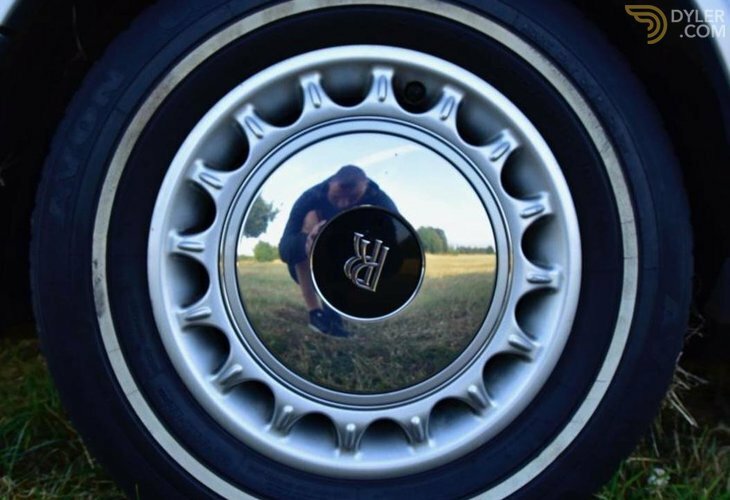 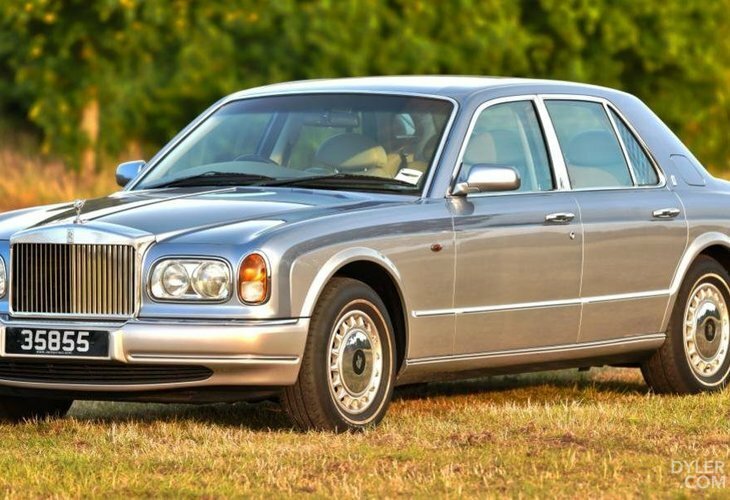 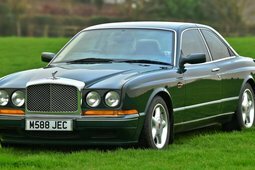 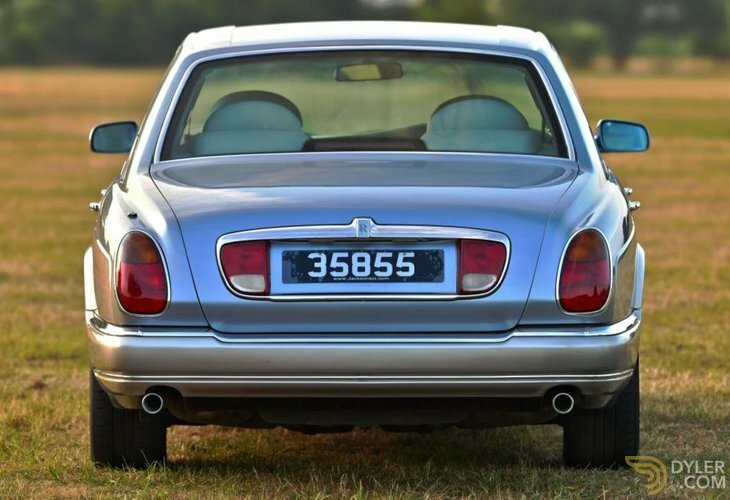 Aside from the radiator grille, badges and wheels, the Rolls-Royce was externally identical to the contemporary Bentley Arnage, sharing both its platform and bodyshell. 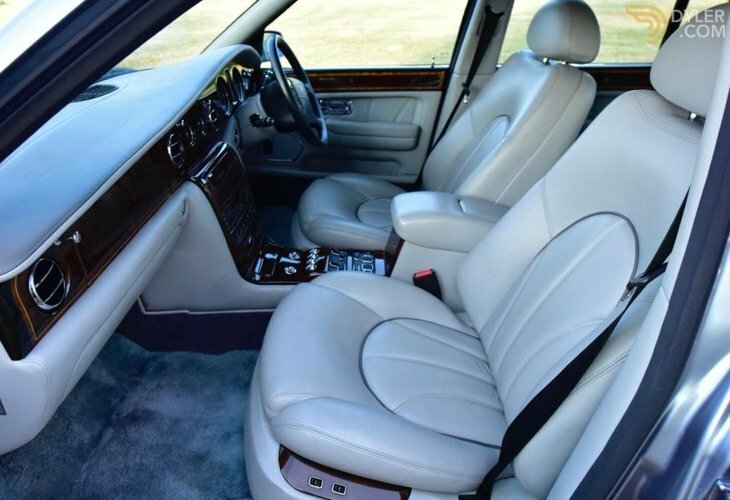 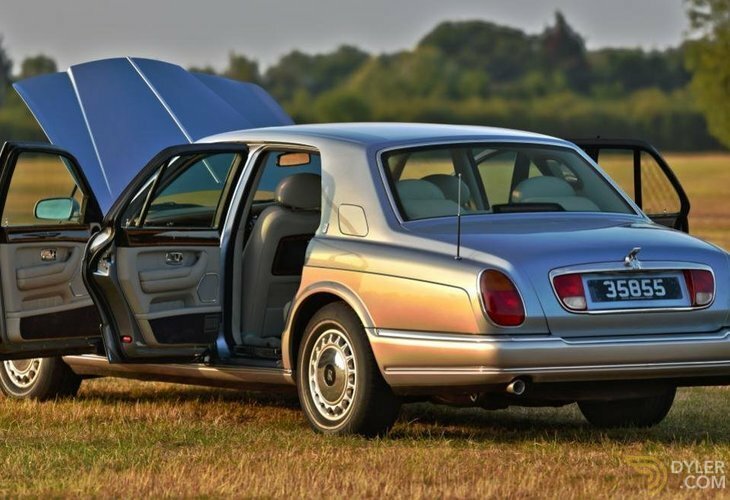 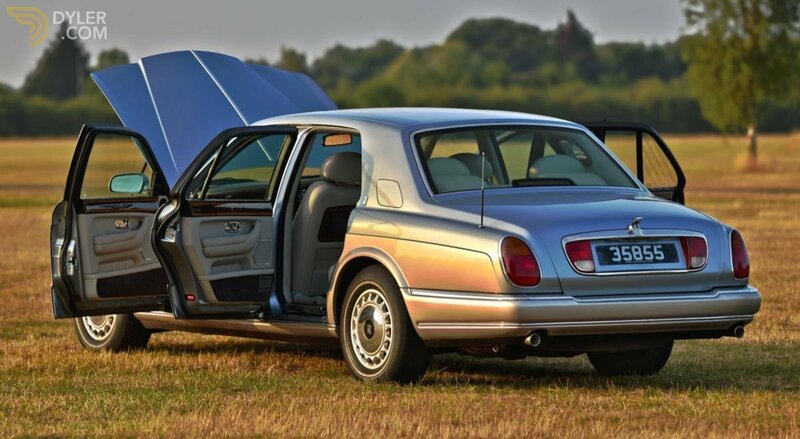 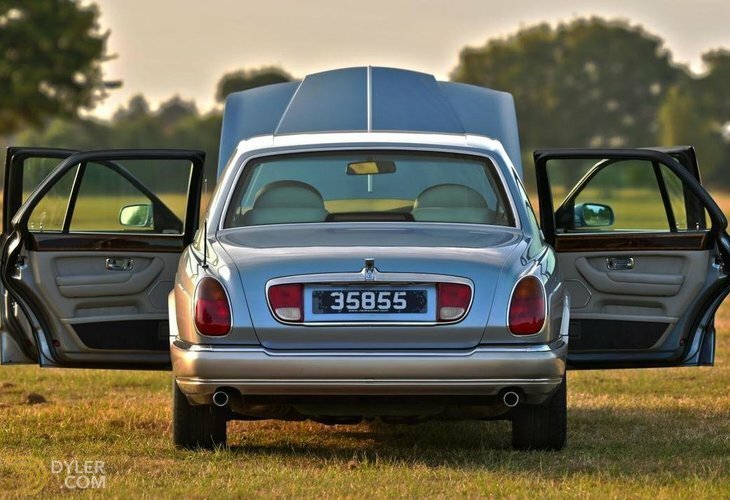 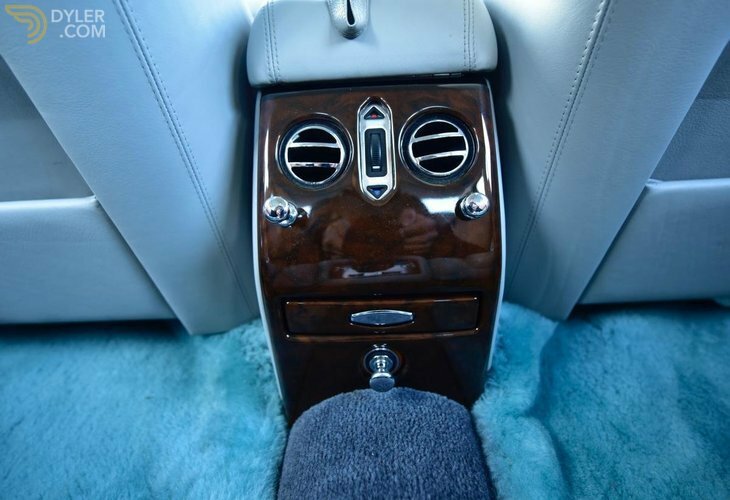 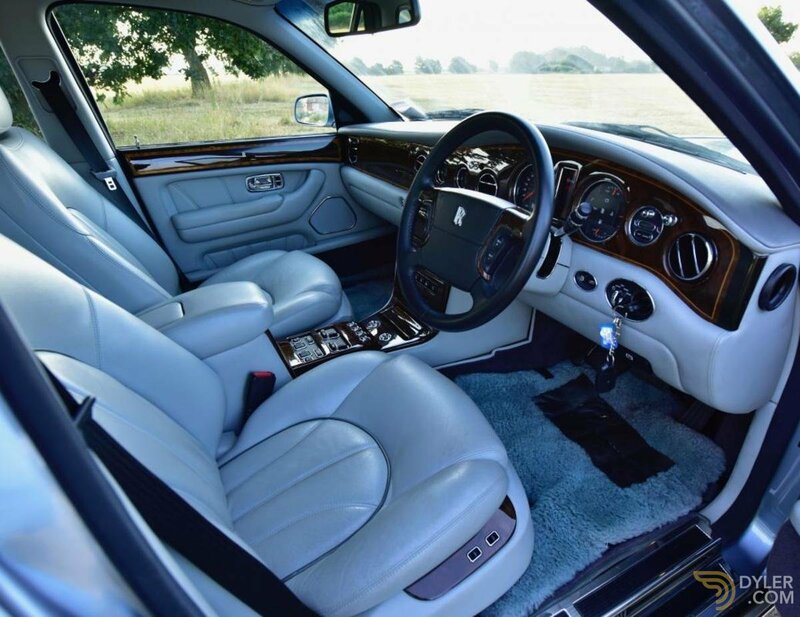 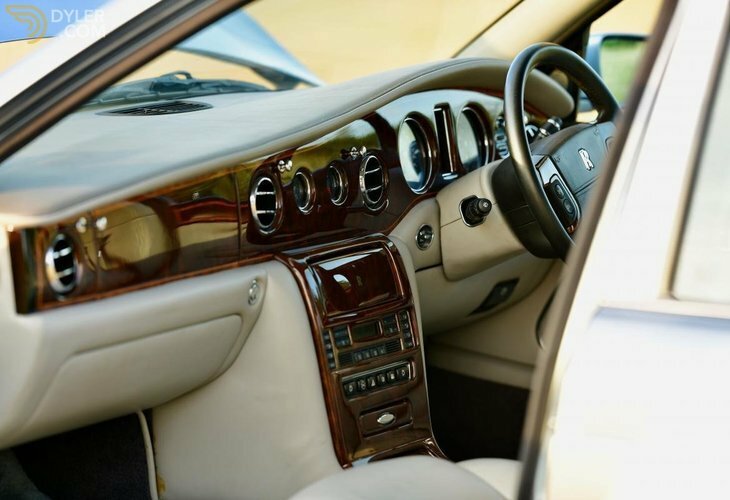 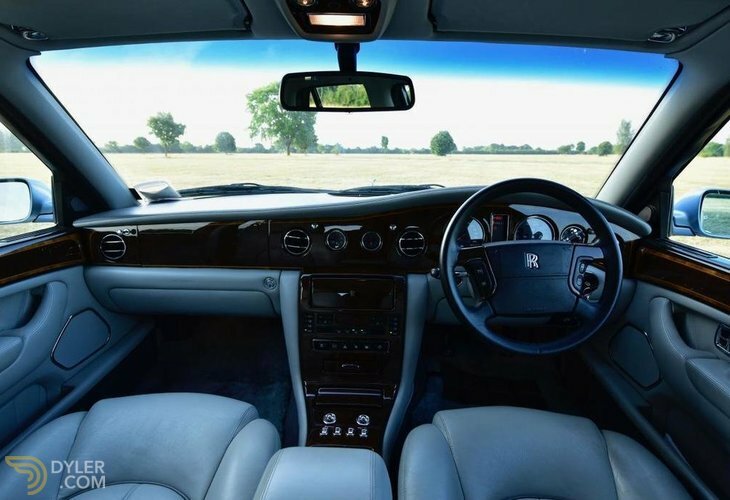 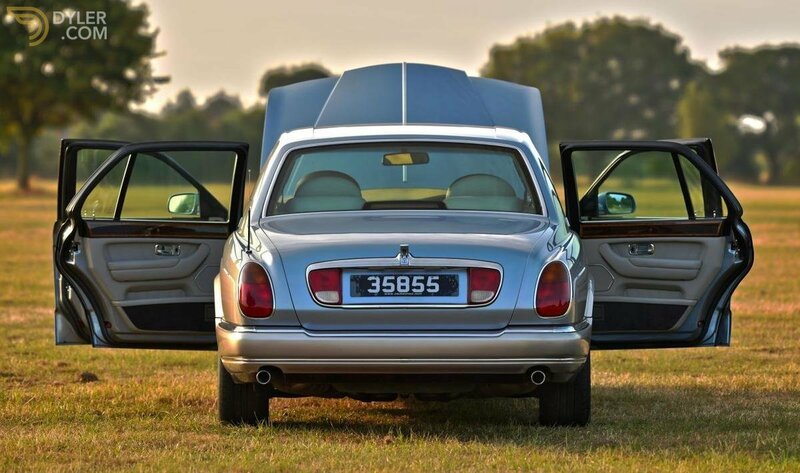 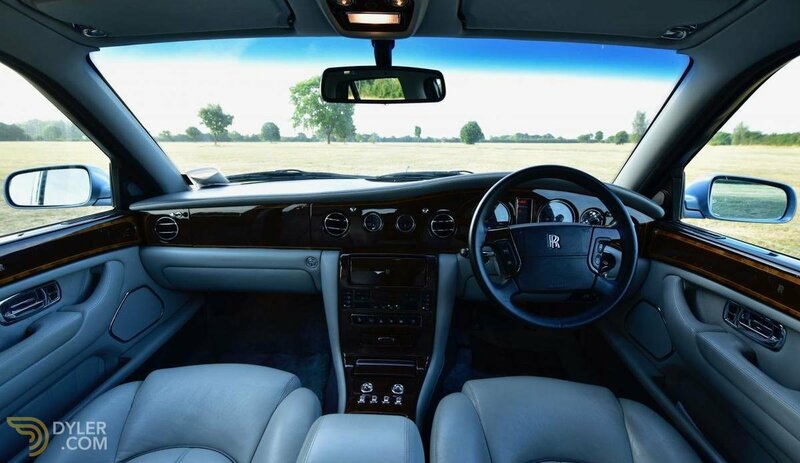 Inside, the Rolls-Royce Silver Seraph and the Bentley Arnage were similar but quite distinct from one another. 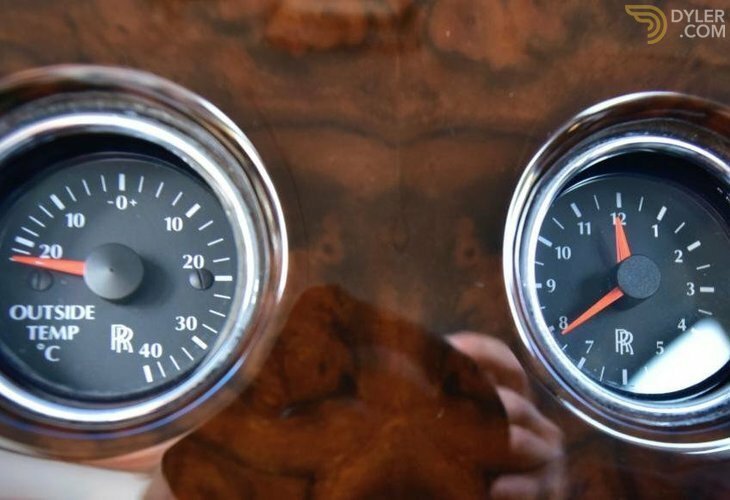 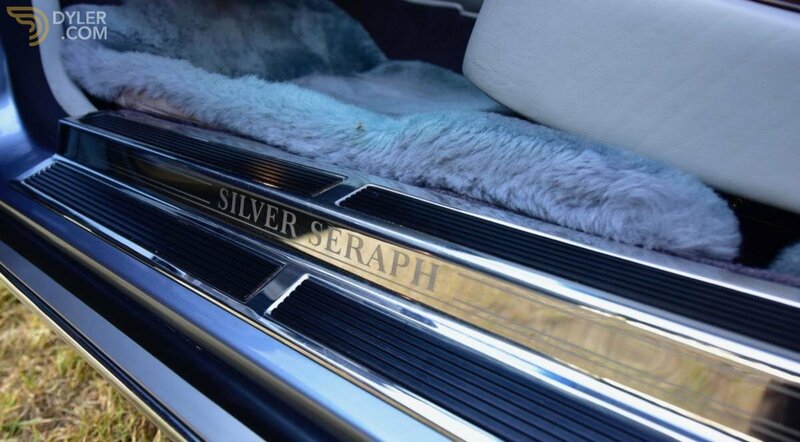 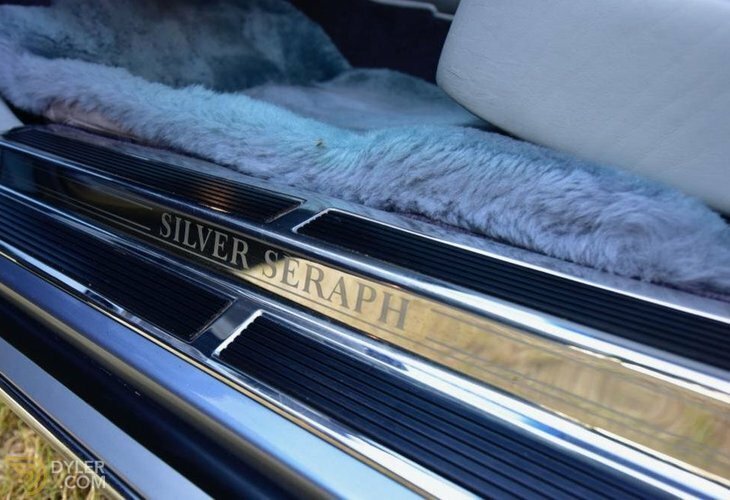 In the Seraph, the gear selector was column-mounted and the gauges followed a traditional Rolls-Royce layout (for example, there was no tachometer). 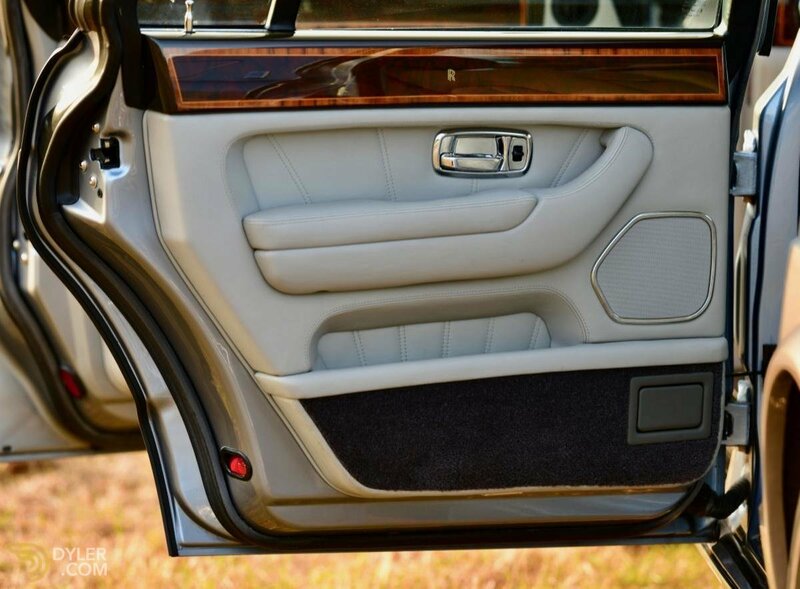 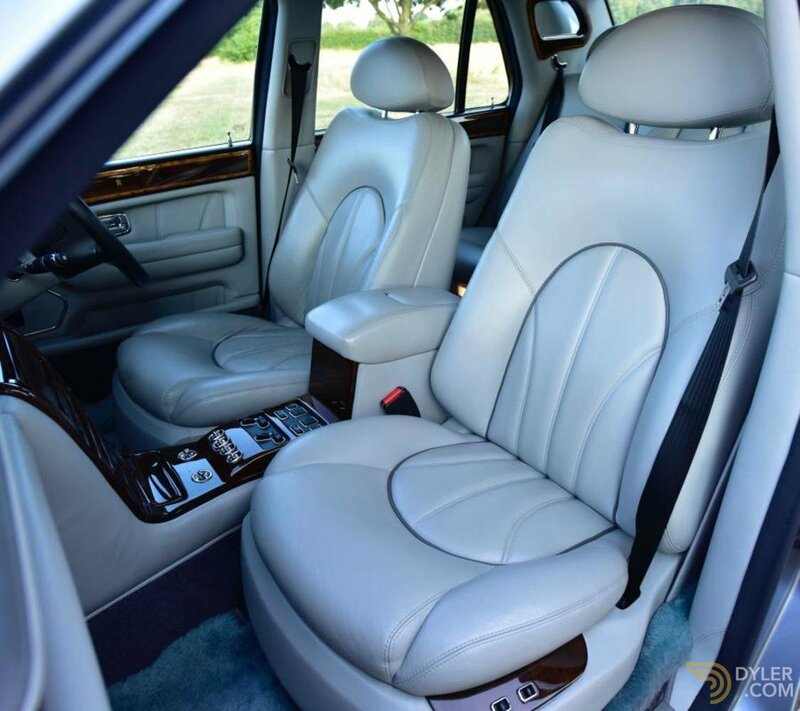 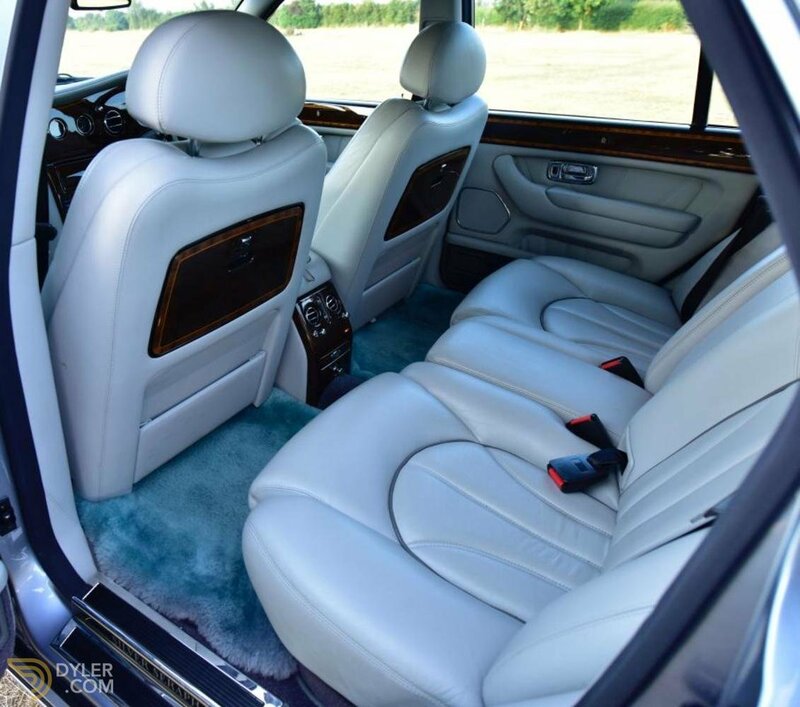 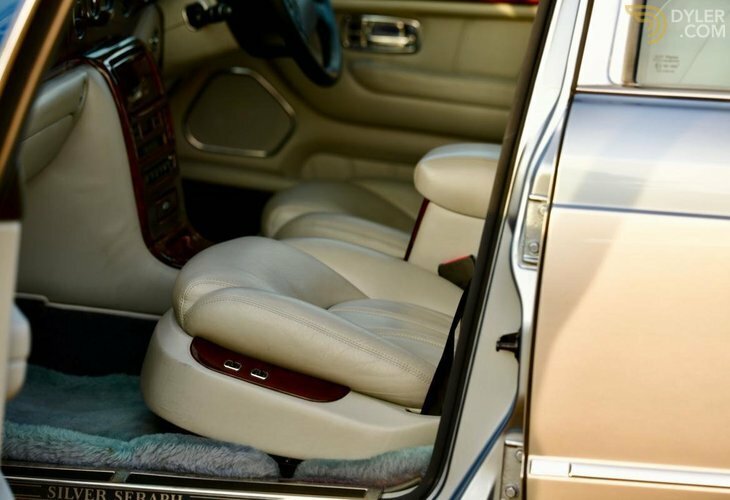 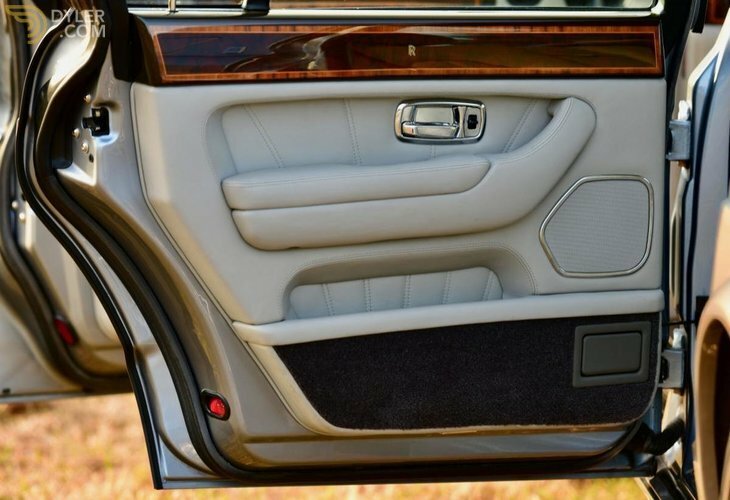 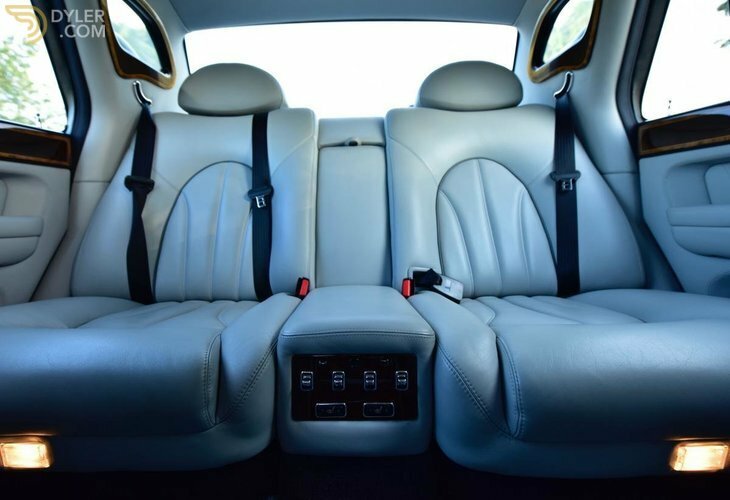 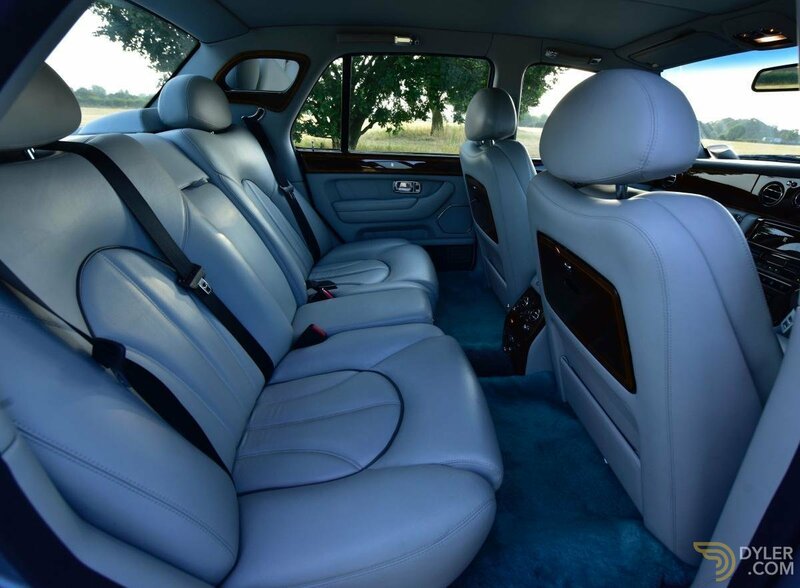 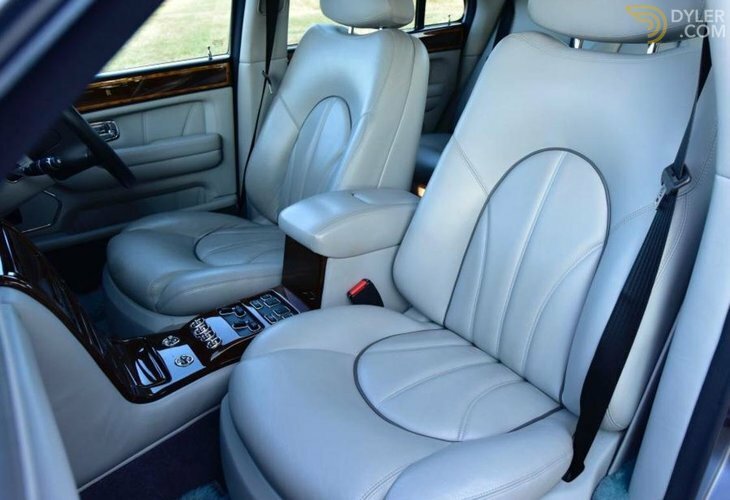 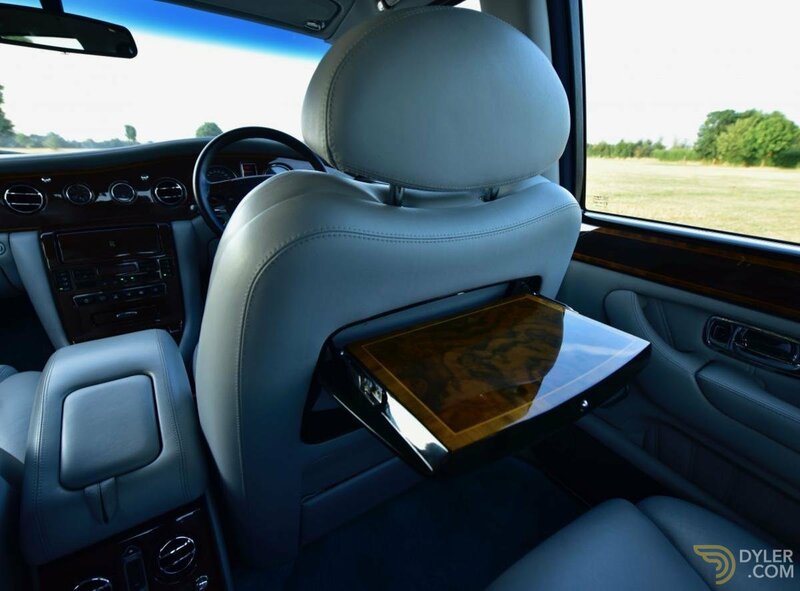 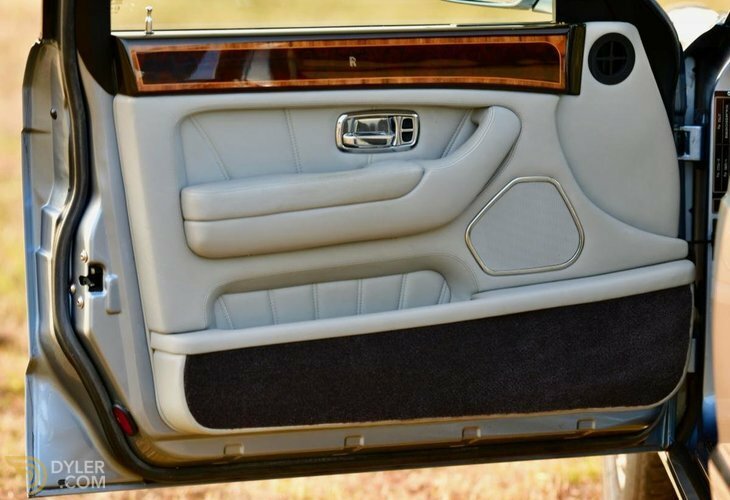 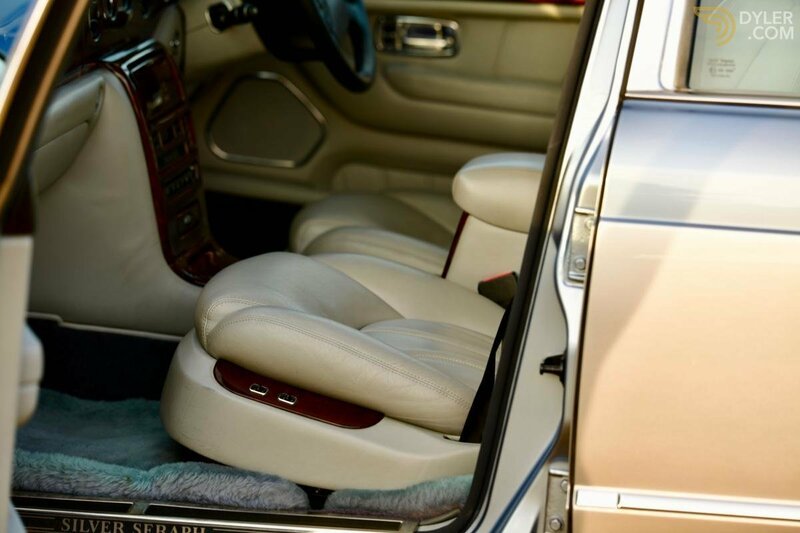 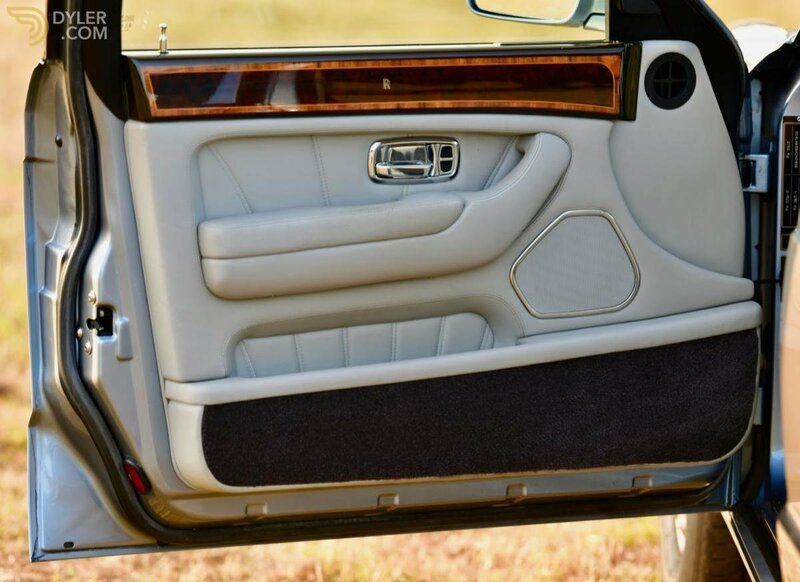 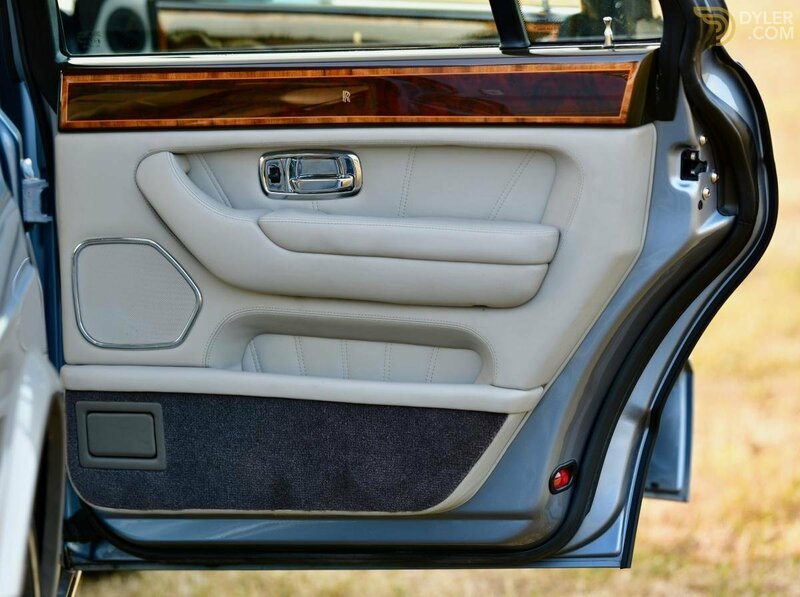 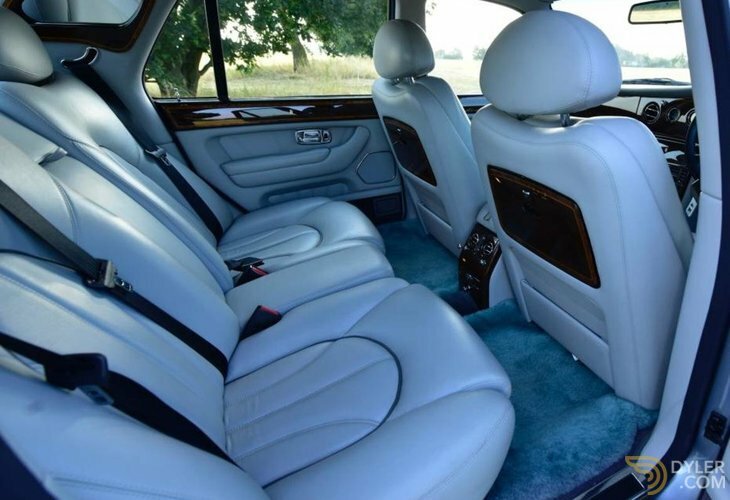 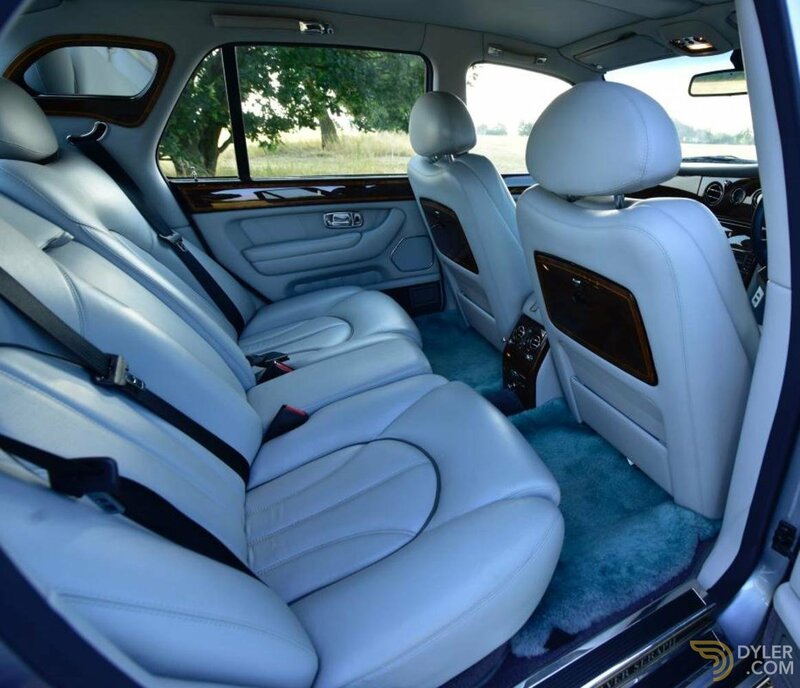 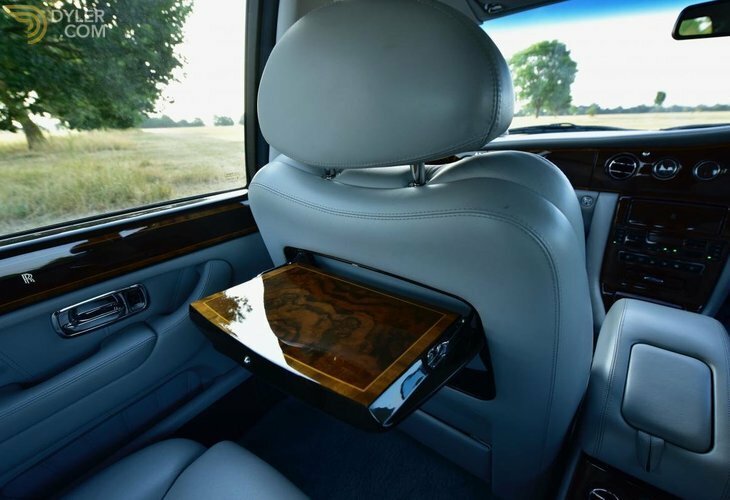 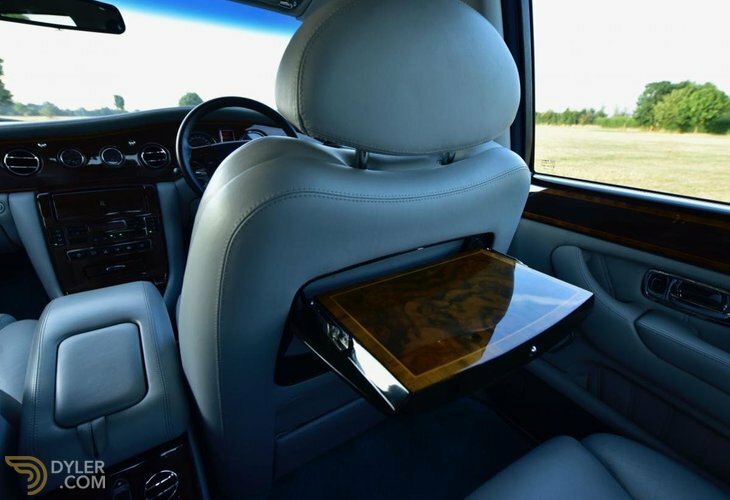 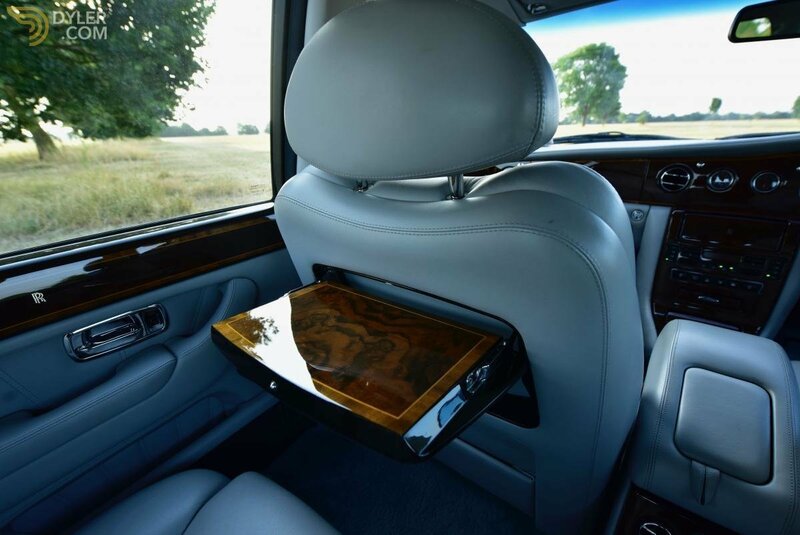 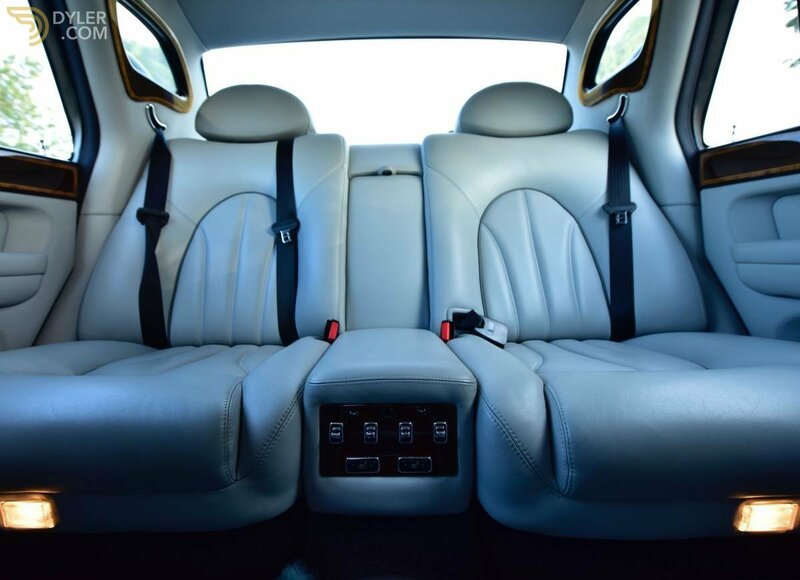 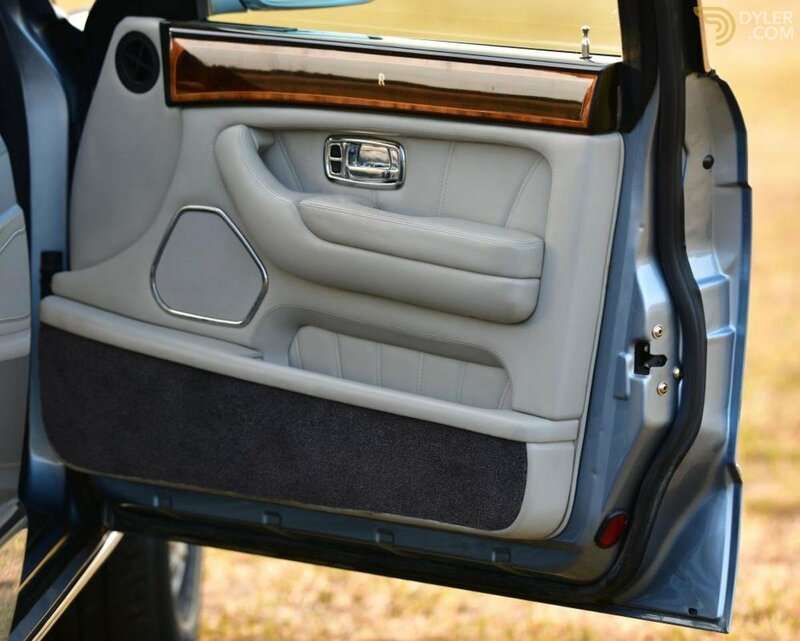 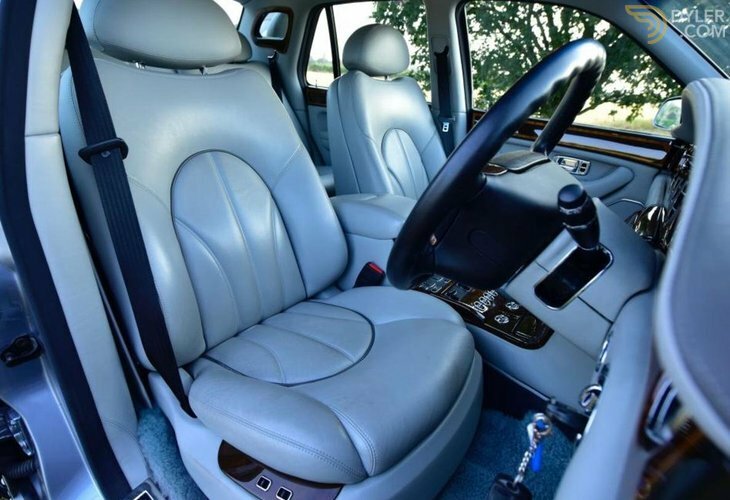 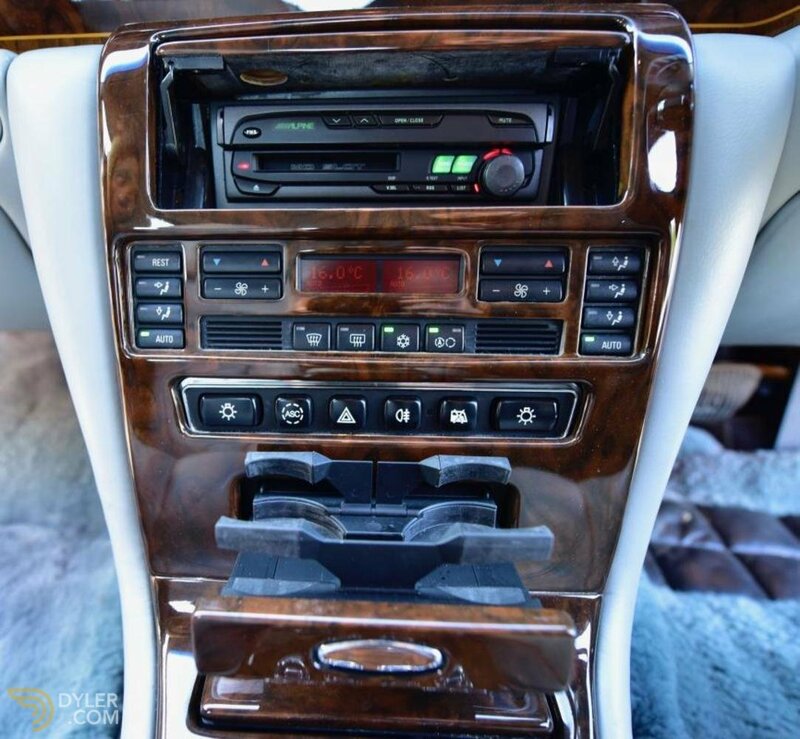 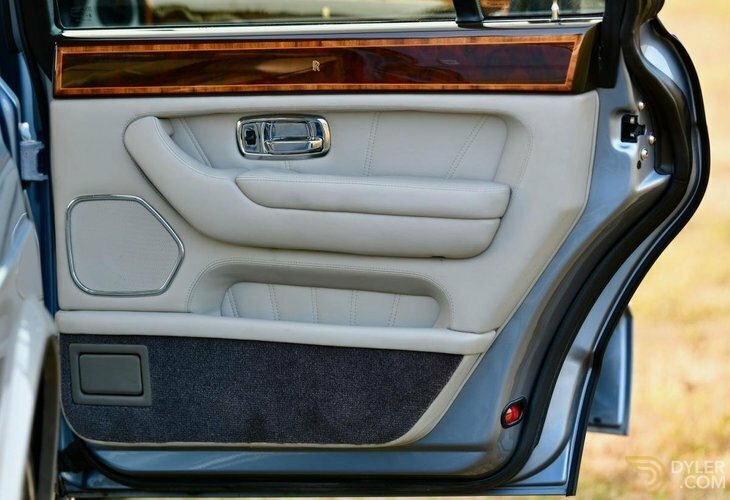 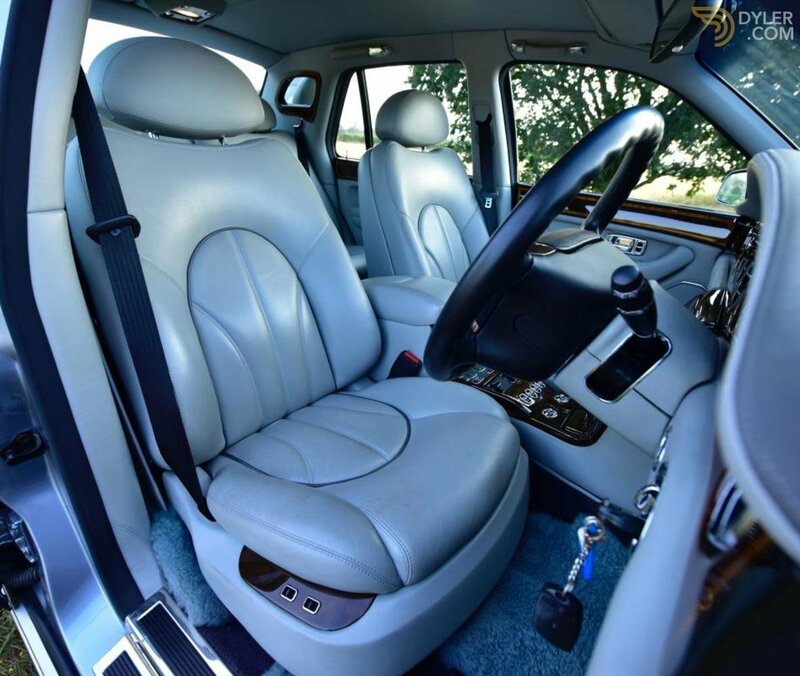 In both cars, the seats and dashboard were upholstered in Connolly leather, with dashboard trim and folding picnic trays for rear passengers and glossy burr walnut veneer. 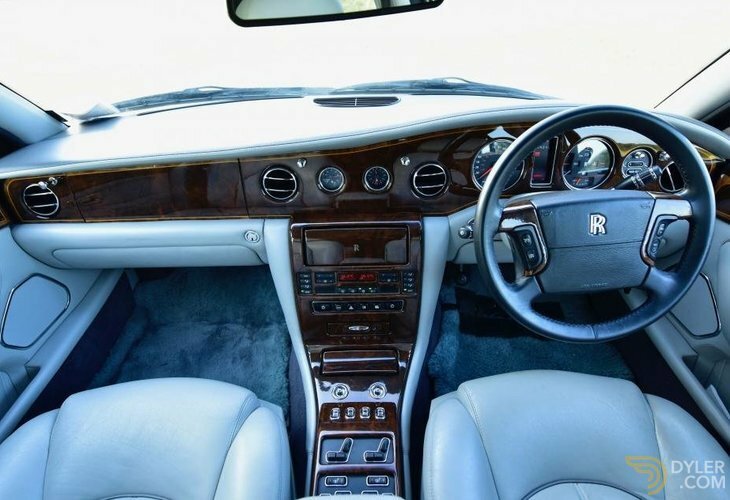 This Rolls-Royce is in splendid condition throughout. 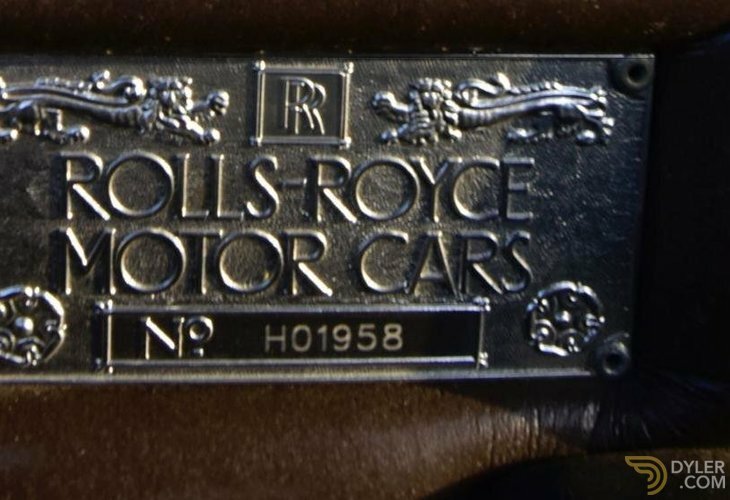 The paintwork is in two-tone Silver and Blue, a very subtle colour combination with the Silver following the natural swage line and continuing through the bumpers. 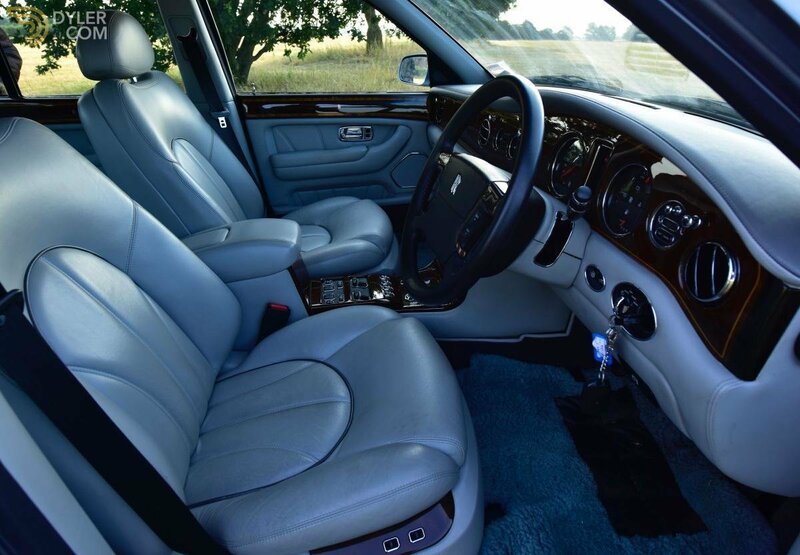 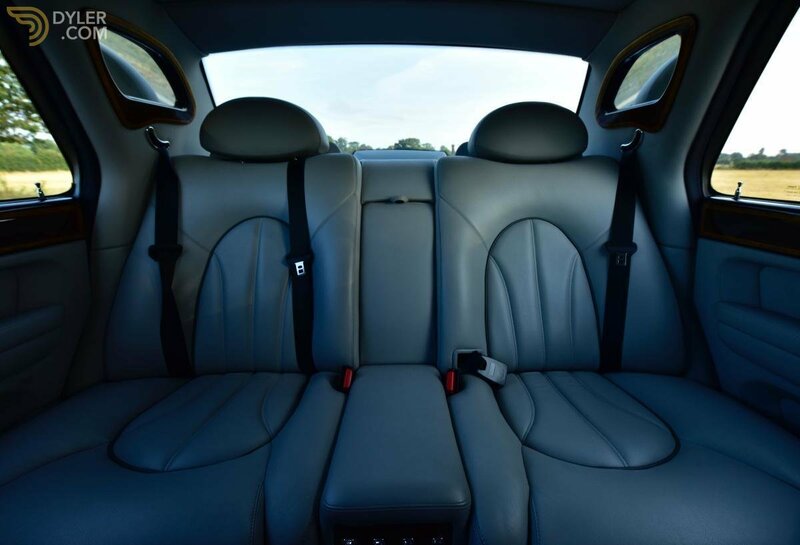 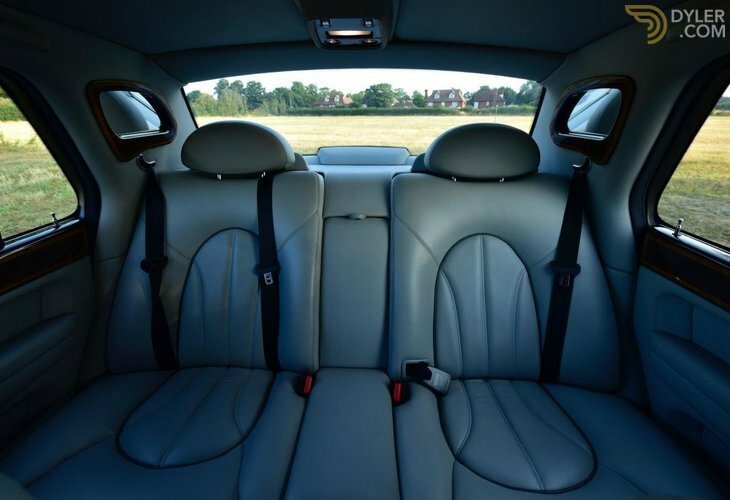 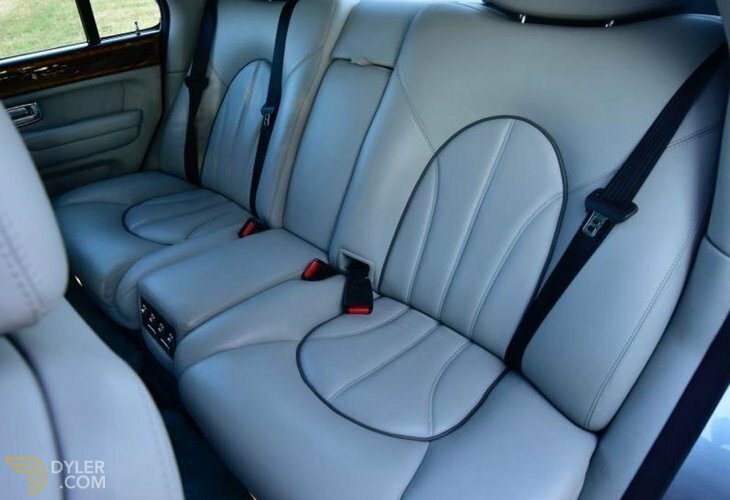 To the interior there is acres of Grey Connolly leather with dark grey piping to the centre of the seats. 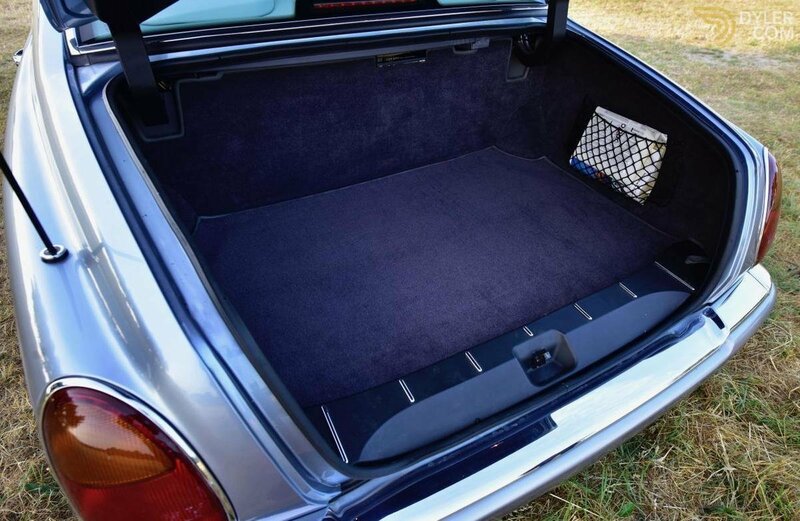 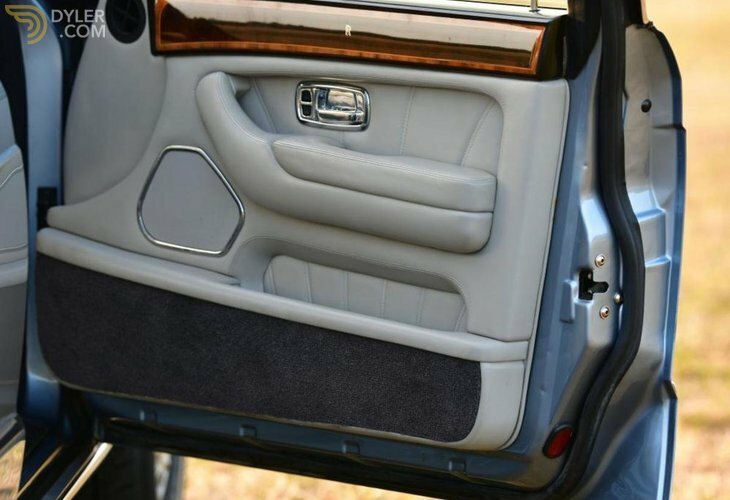 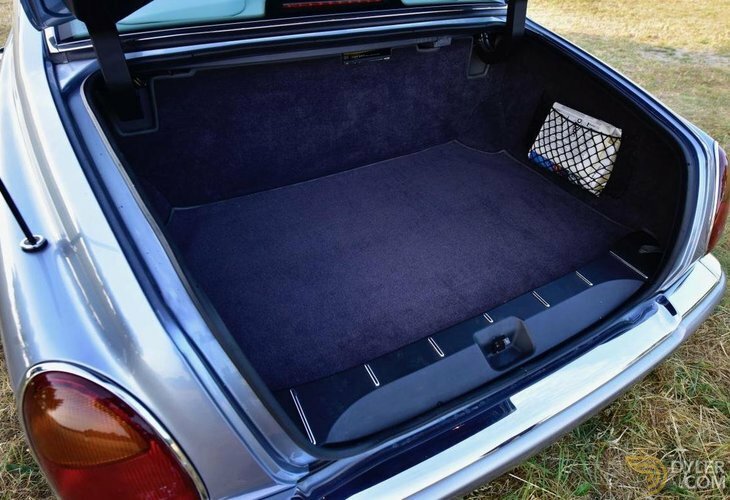 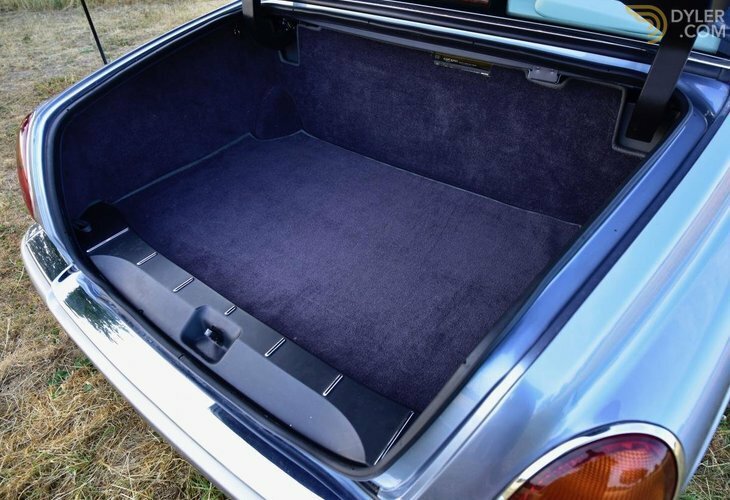 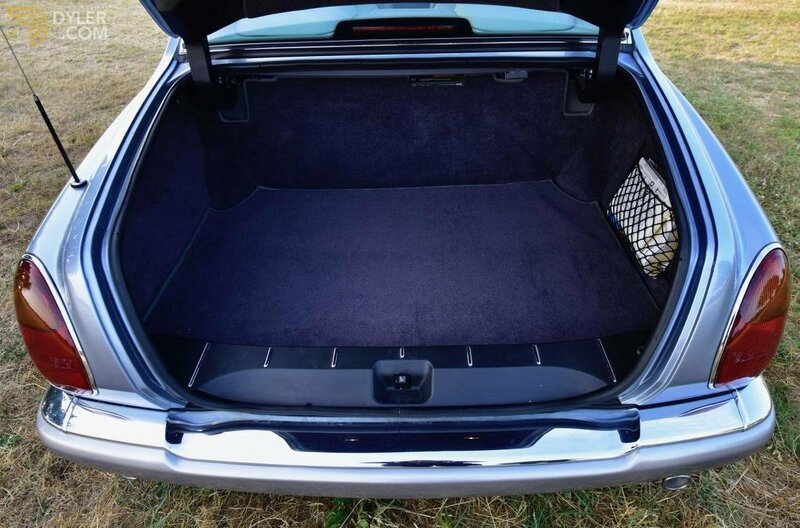 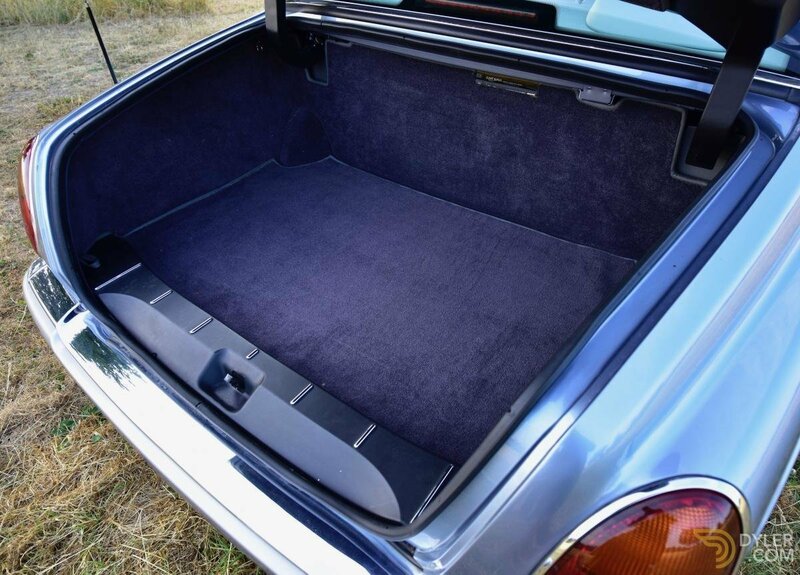 To the floor there is blue Wilton carpet with a lighter shade over rug in both the front and rear compartments. 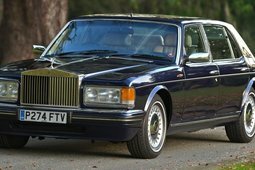 Being the last built Rolls-Royce from the Crewe factory they really did have luxury and comfort mastered which is instantly noticeable when opening the doors. 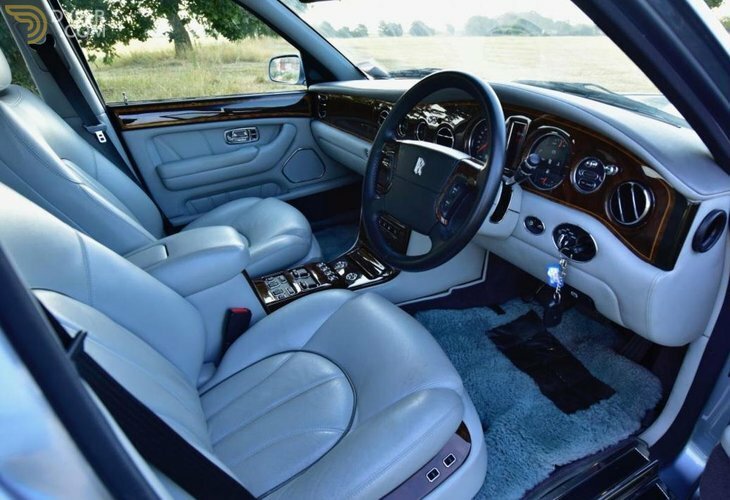 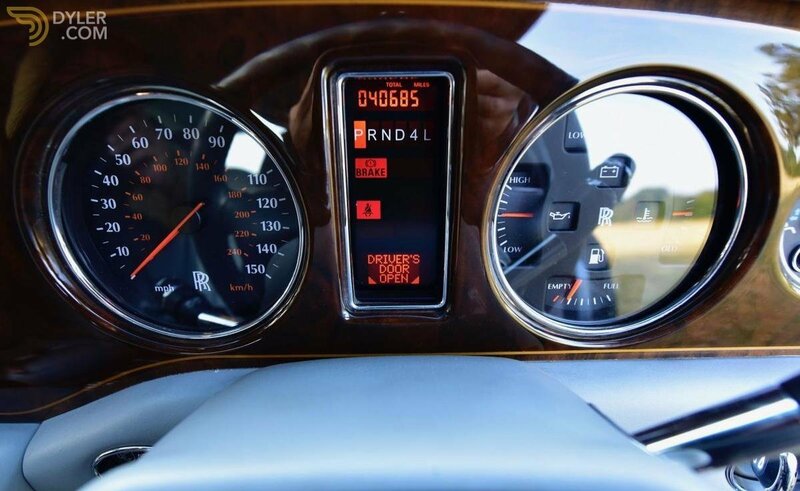 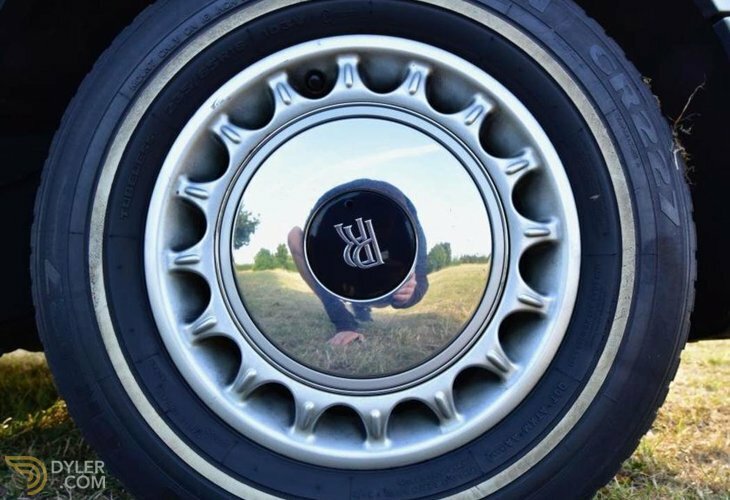 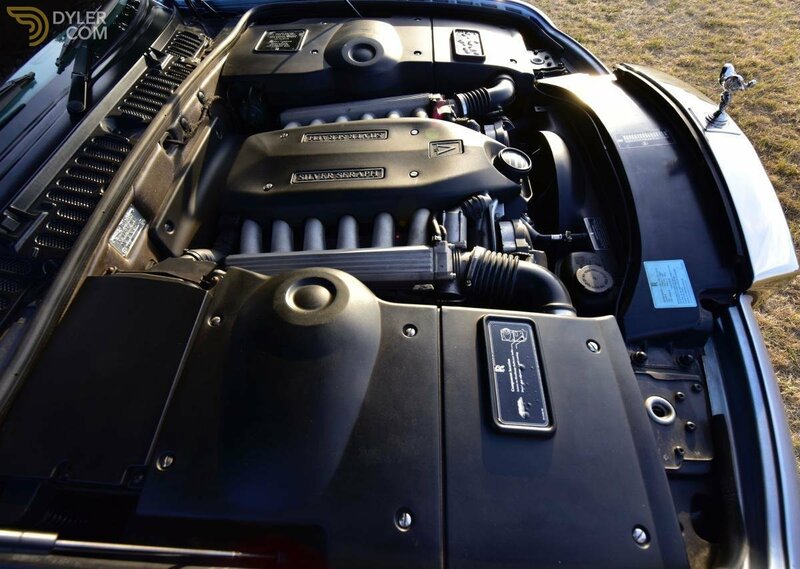 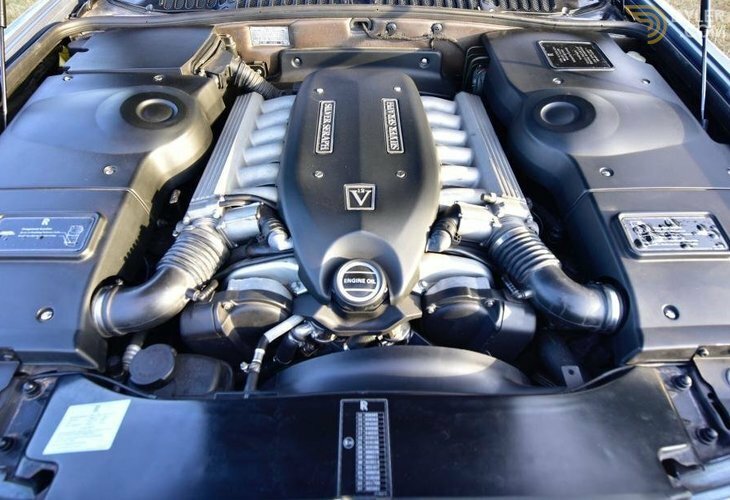 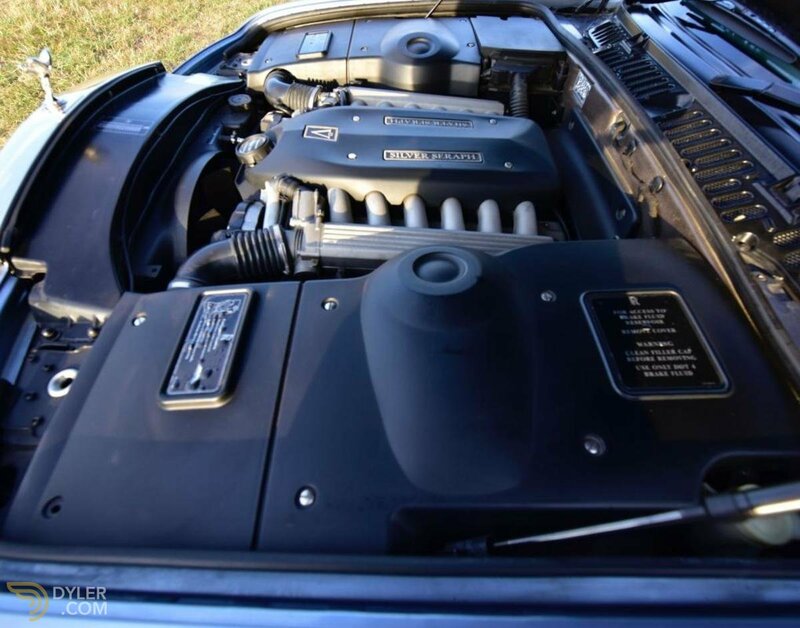 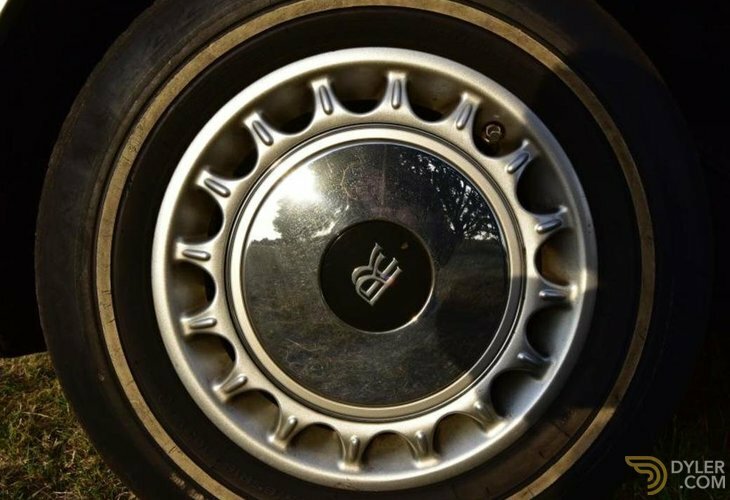 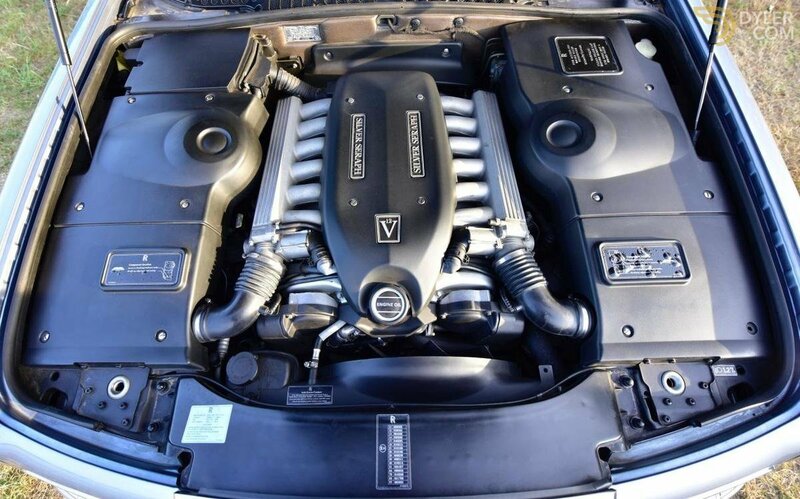 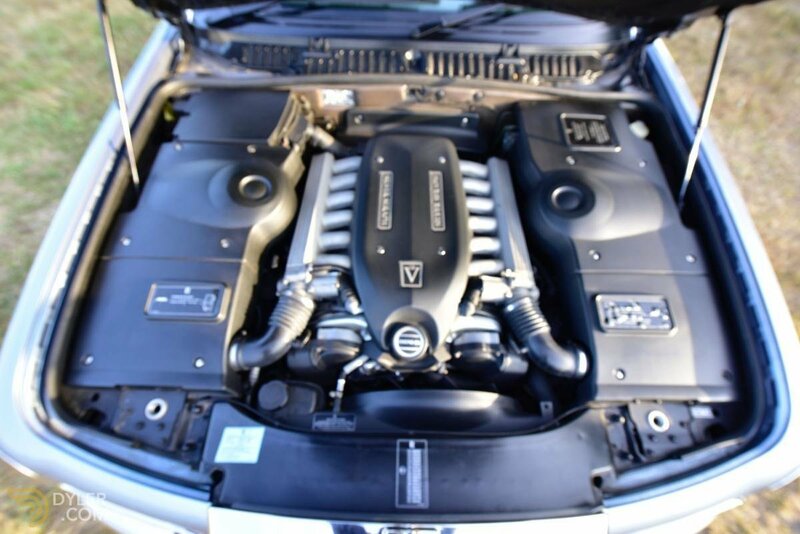 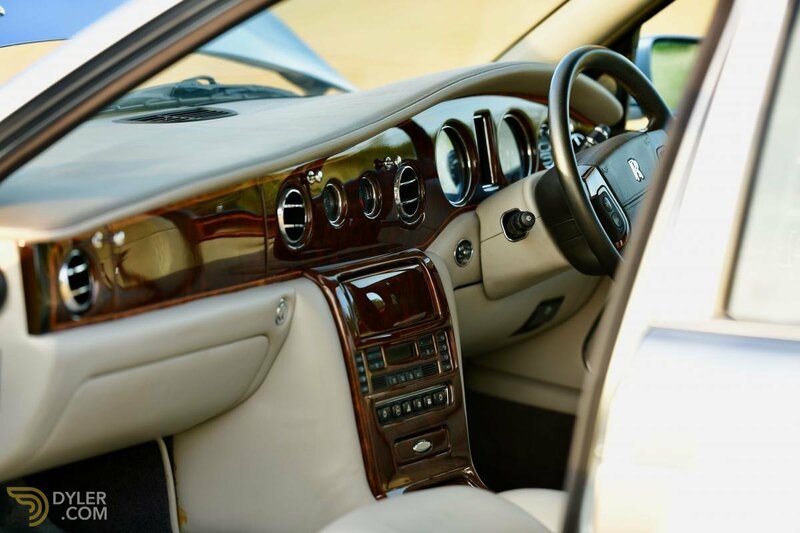 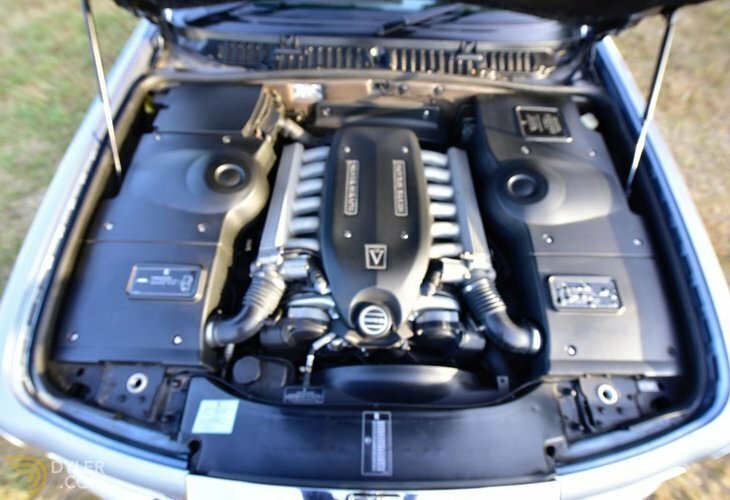 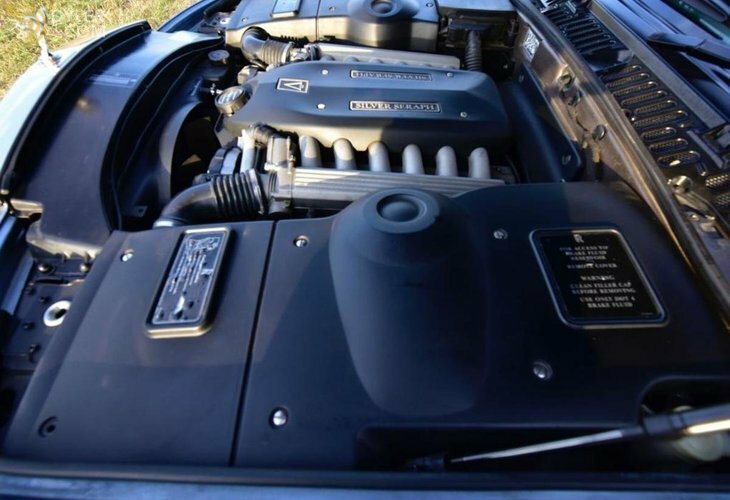 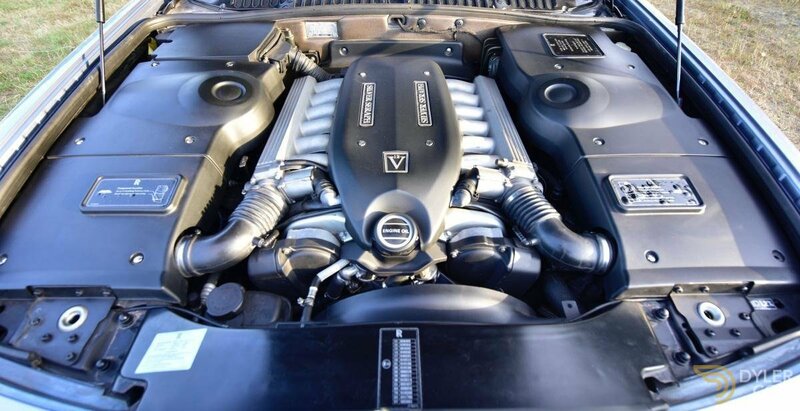 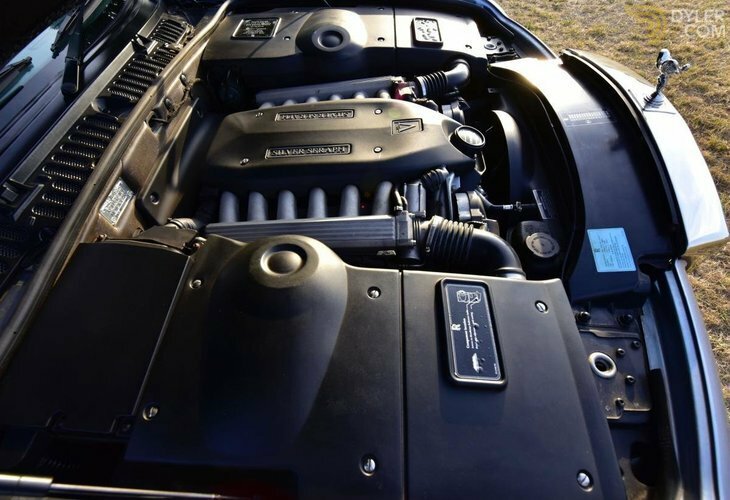 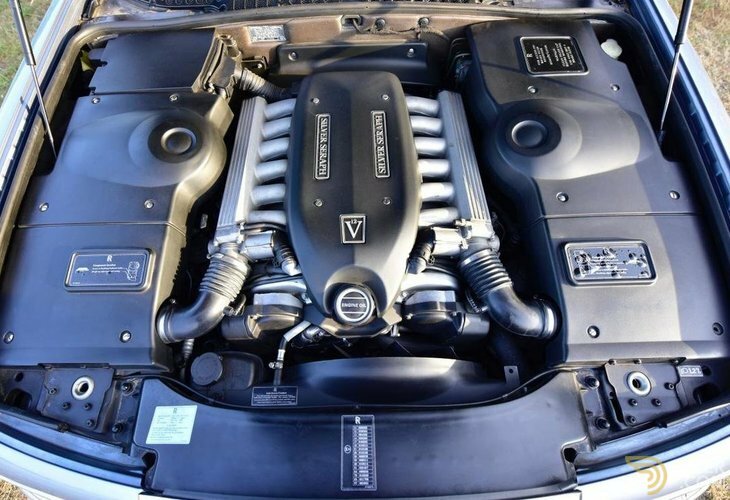 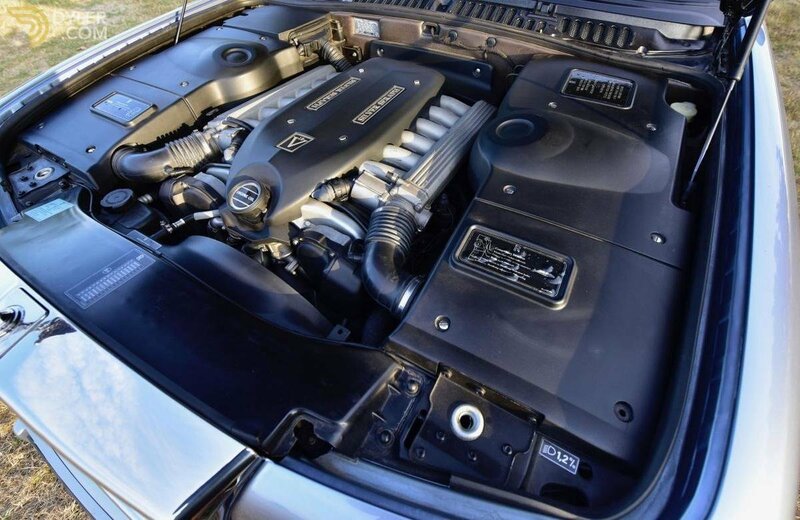 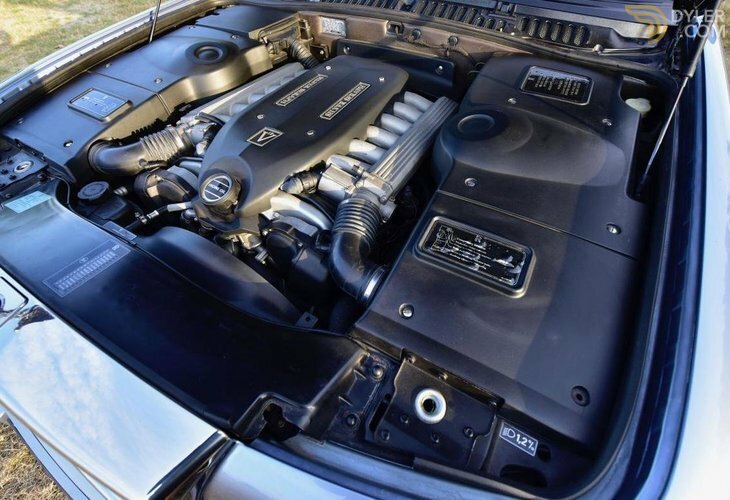 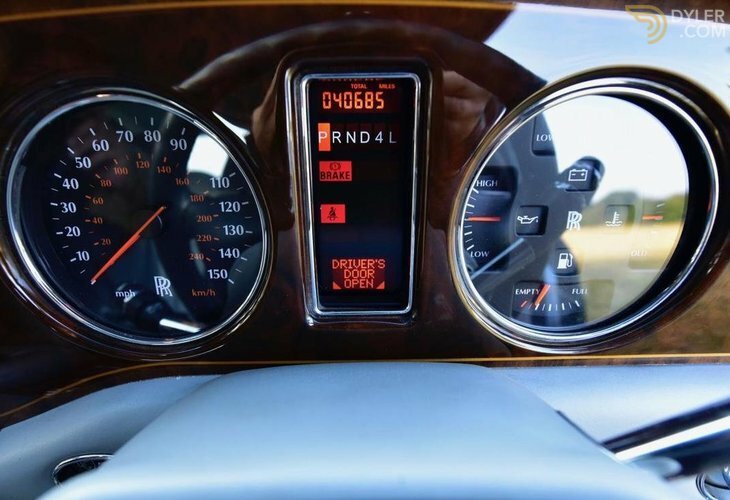 The quality again is instantly recognisable by the turn of a key, the powerful and silent V12 has covered a mere 40,000 miles and still drives and handles like new. 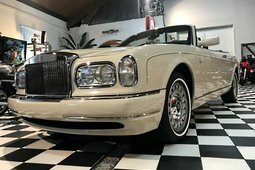 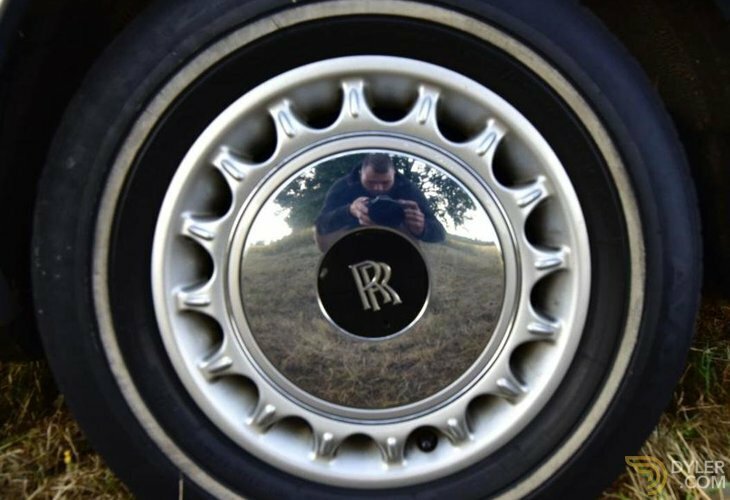 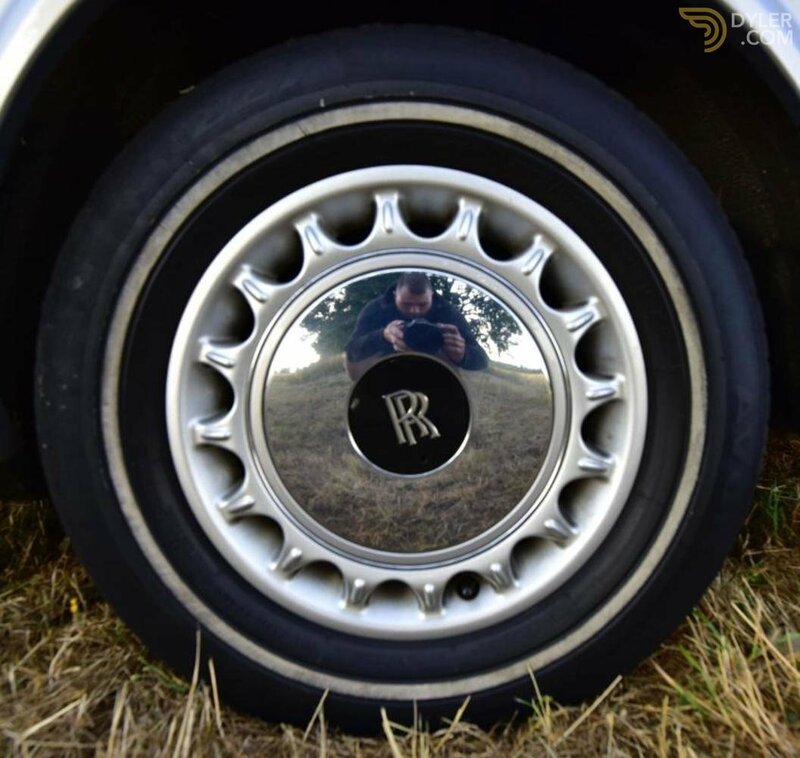 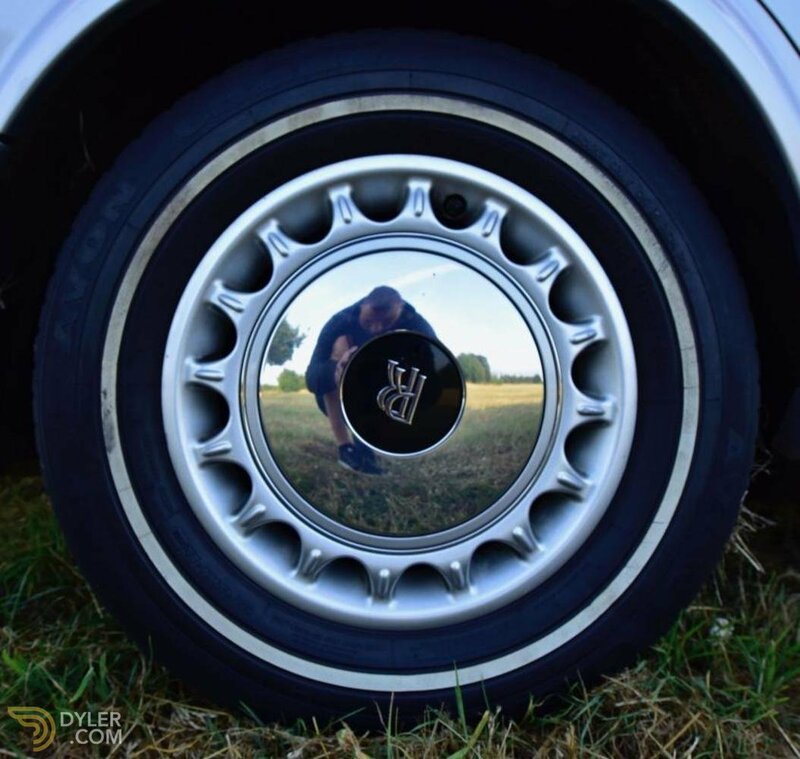 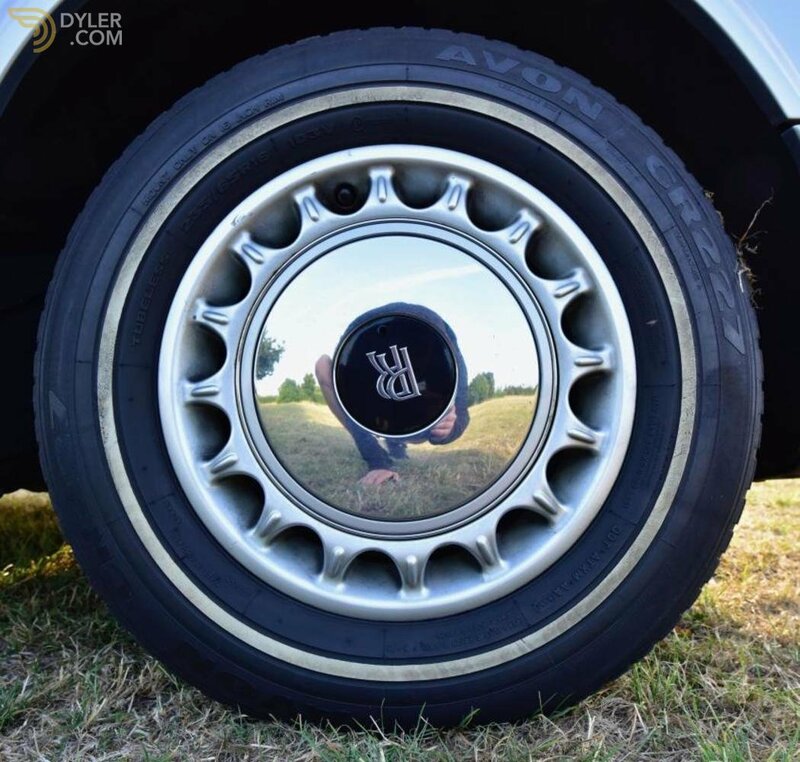 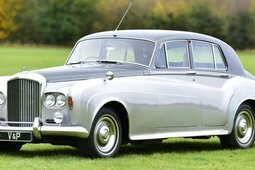 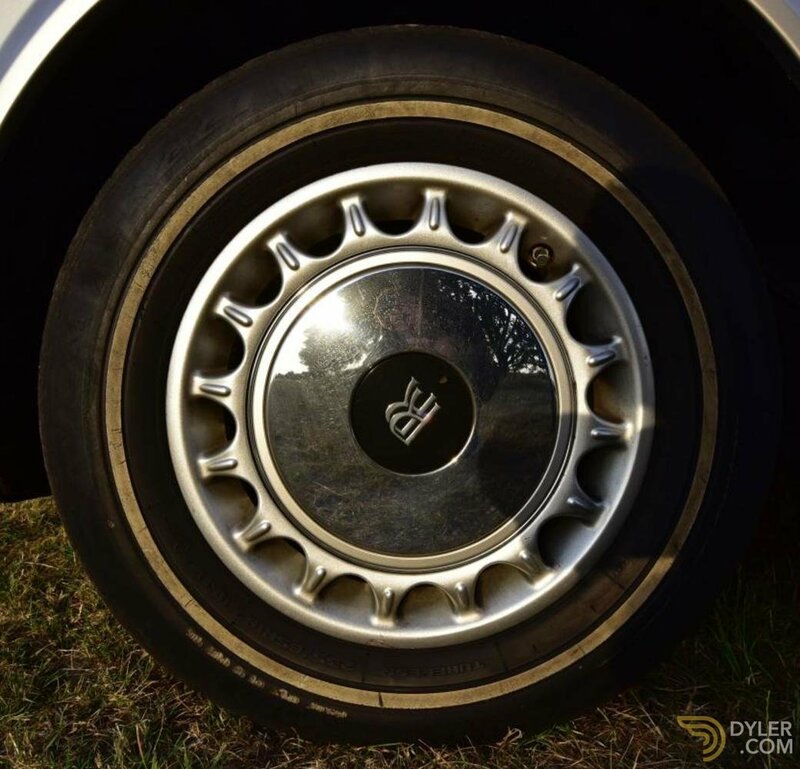 Rolls-Royce Silver Seraphs are rare and are fast becoming recognised as highly desirable and collectable, they are a superb car to travel in.